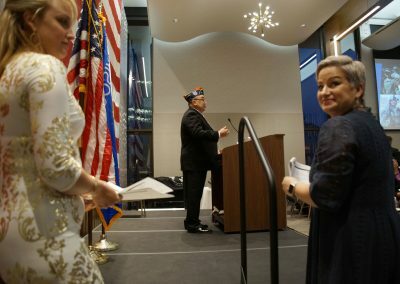 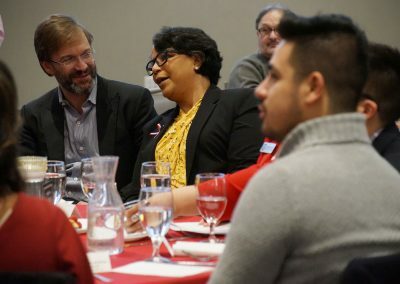 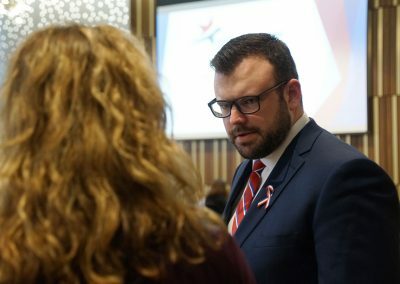 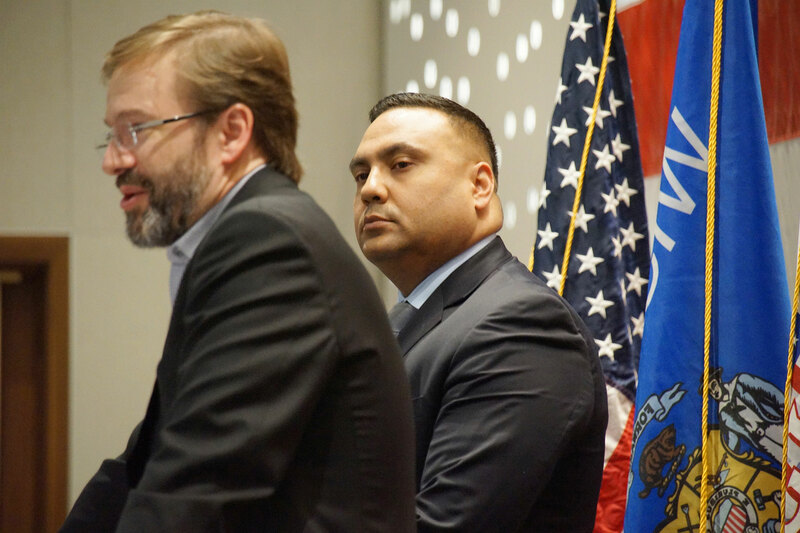 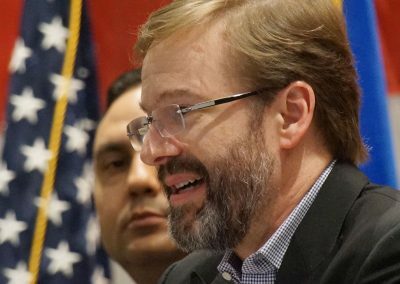 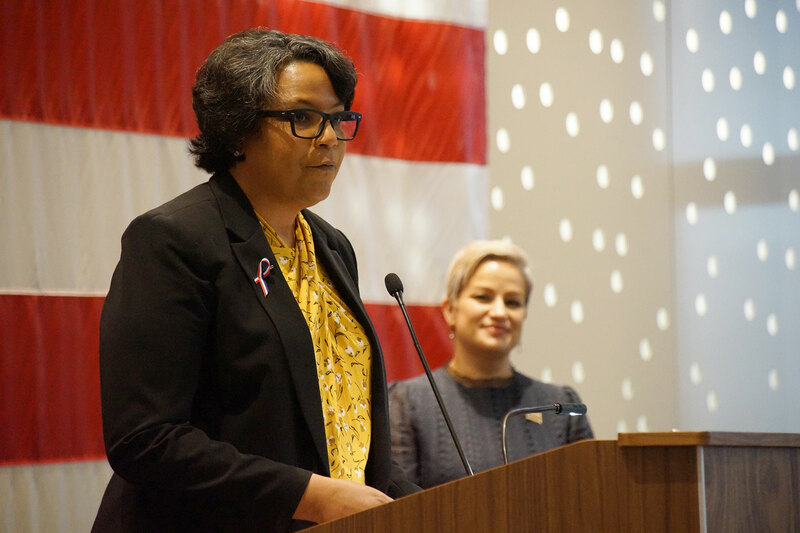 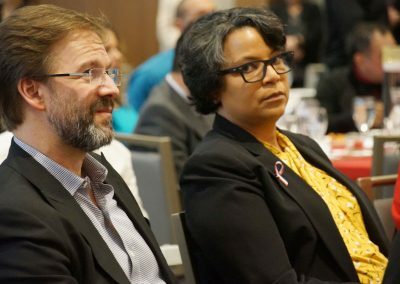 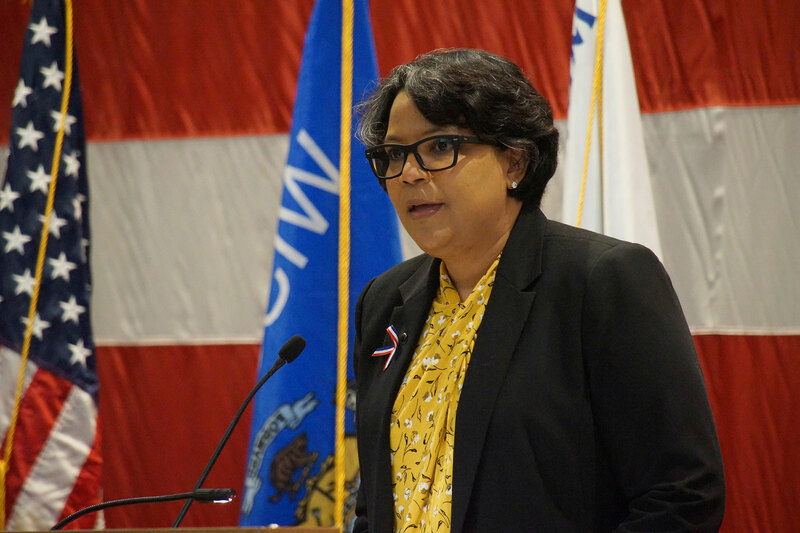 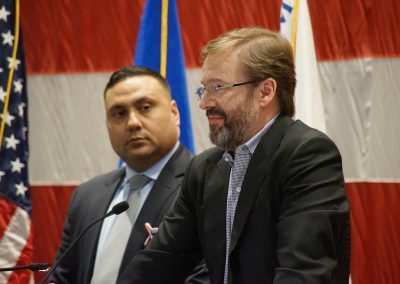 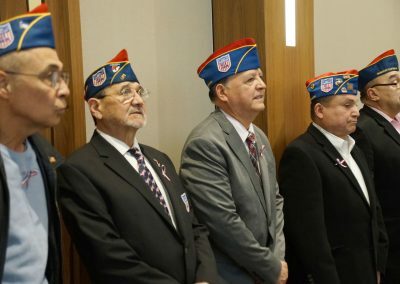 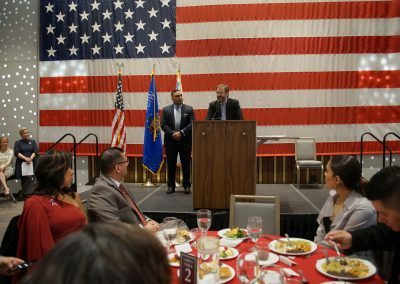 The Latino Veterans’ Legacy of Valor Foundation also received a personal donation from Milwaukee County Executive Chris Abele to kick-off the group’s fundraising efforts for a public monument. 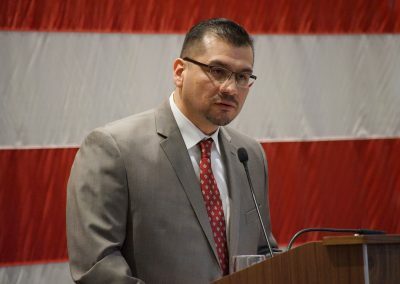 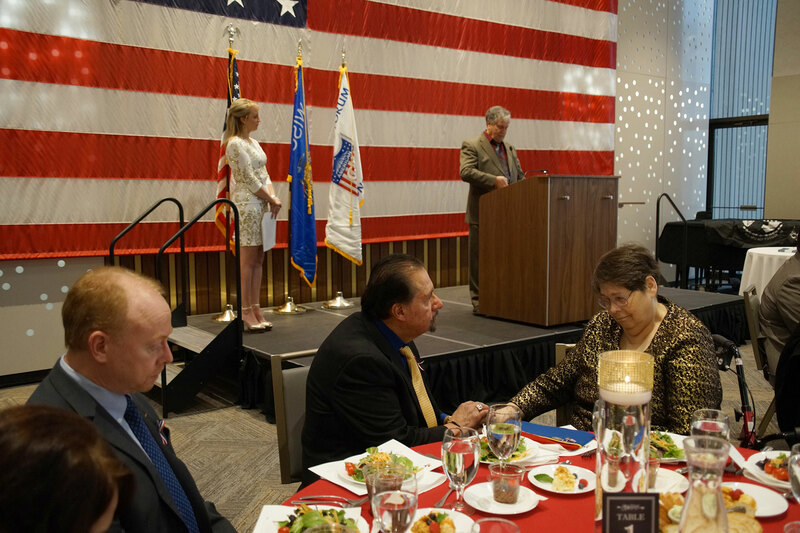 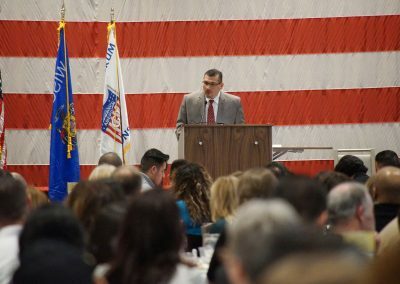 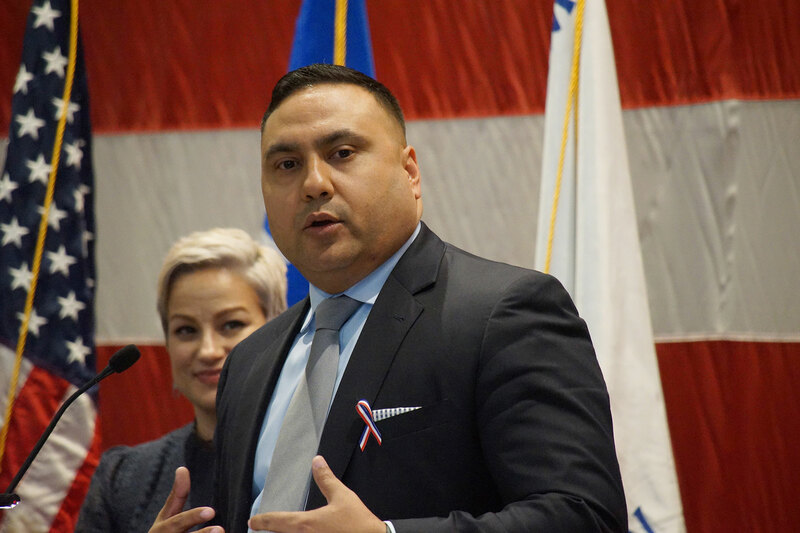 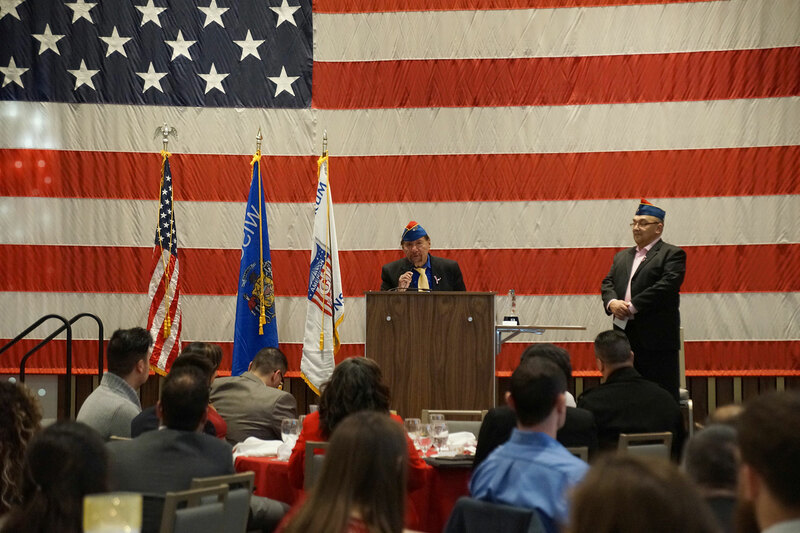 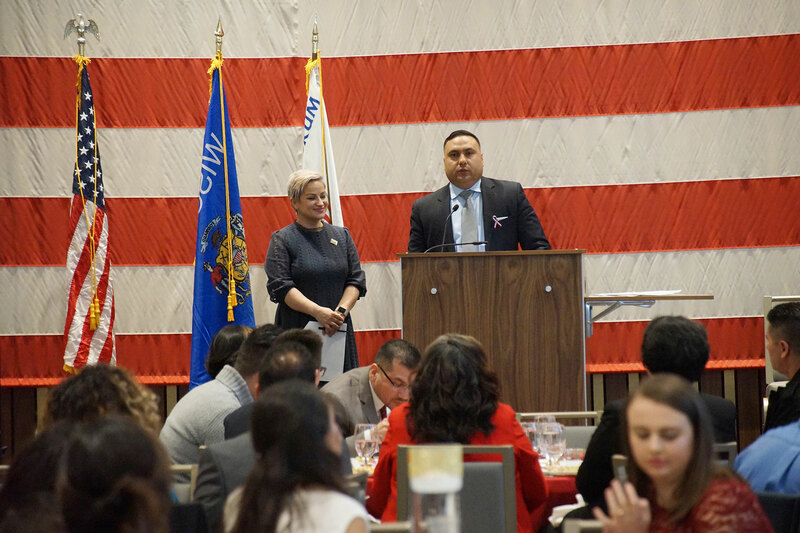 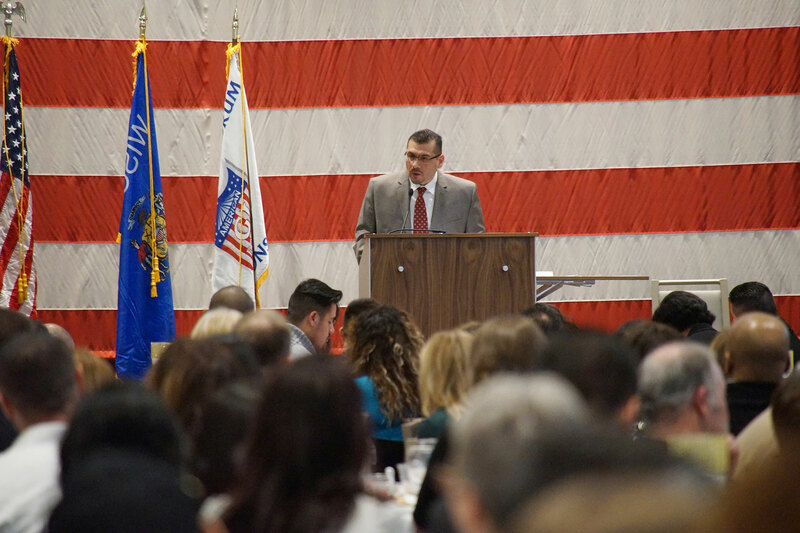 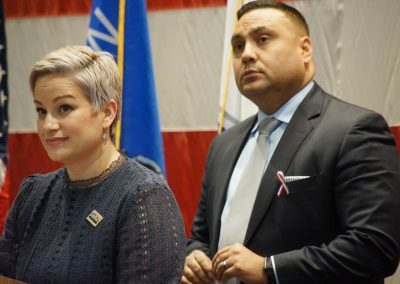 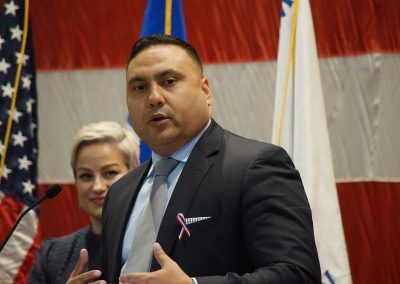 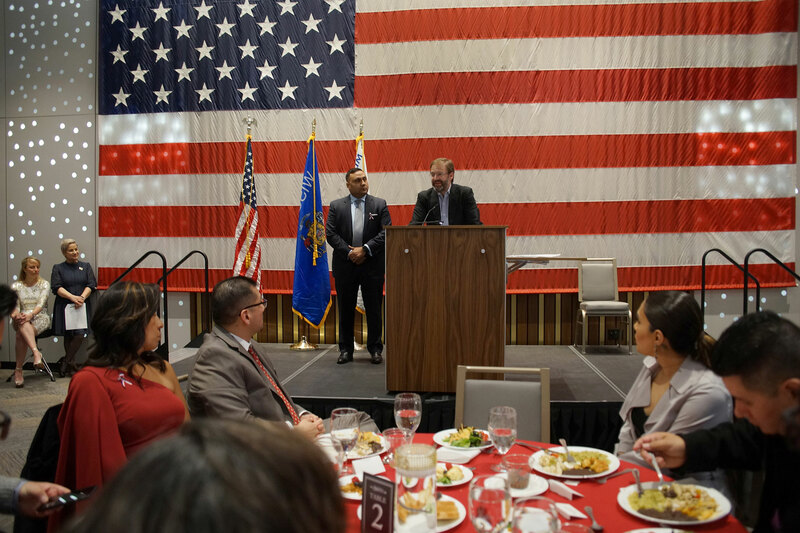 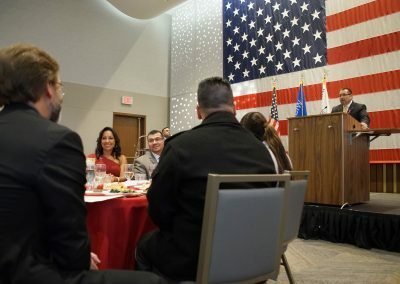 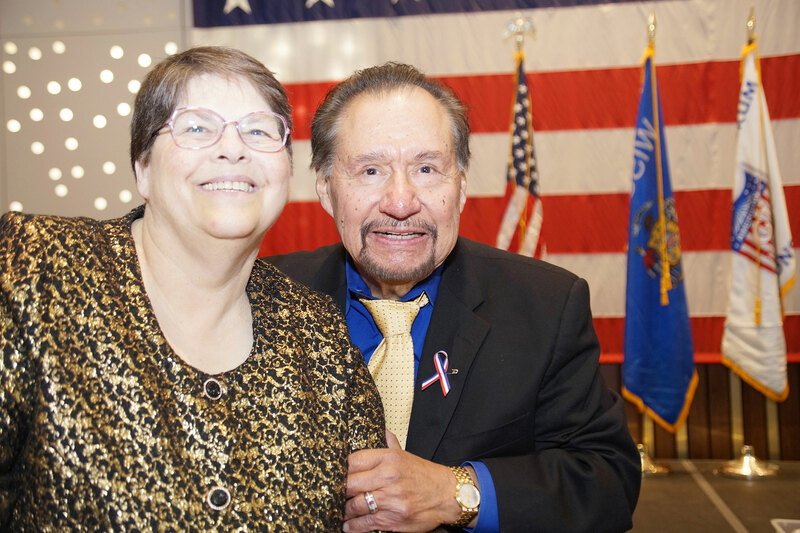 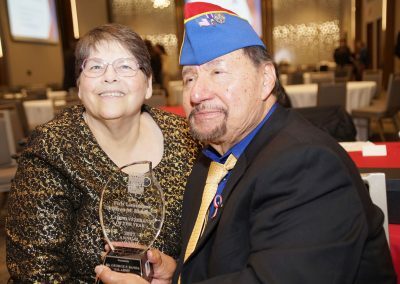 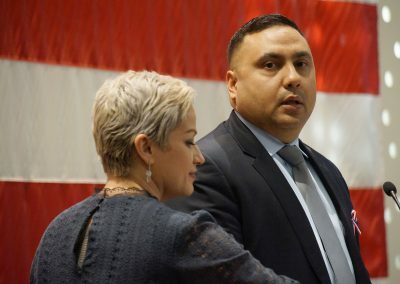 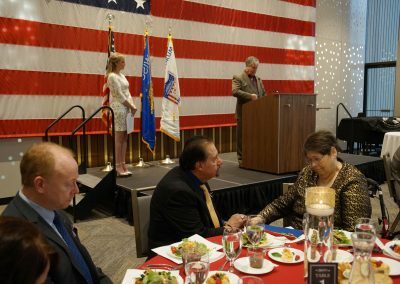 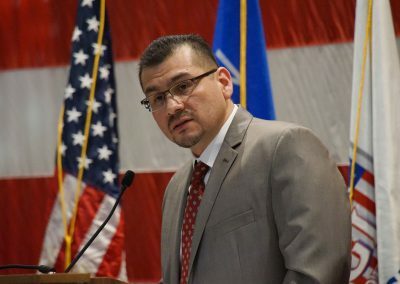 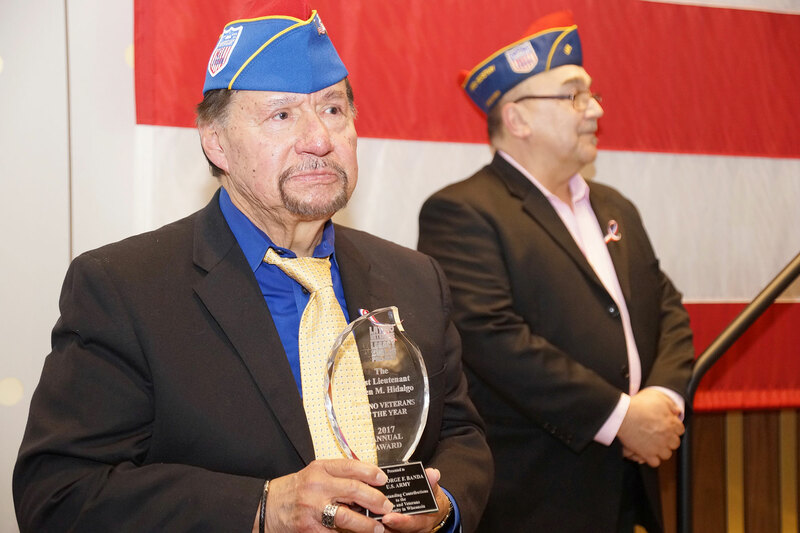 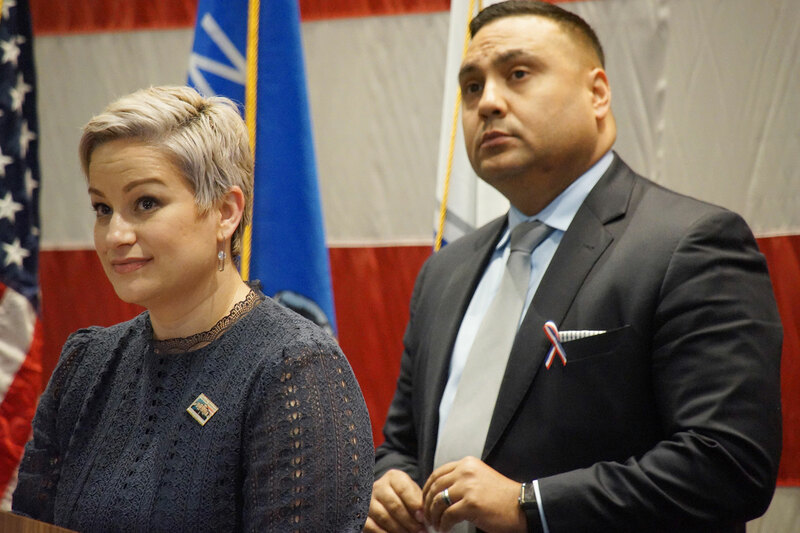 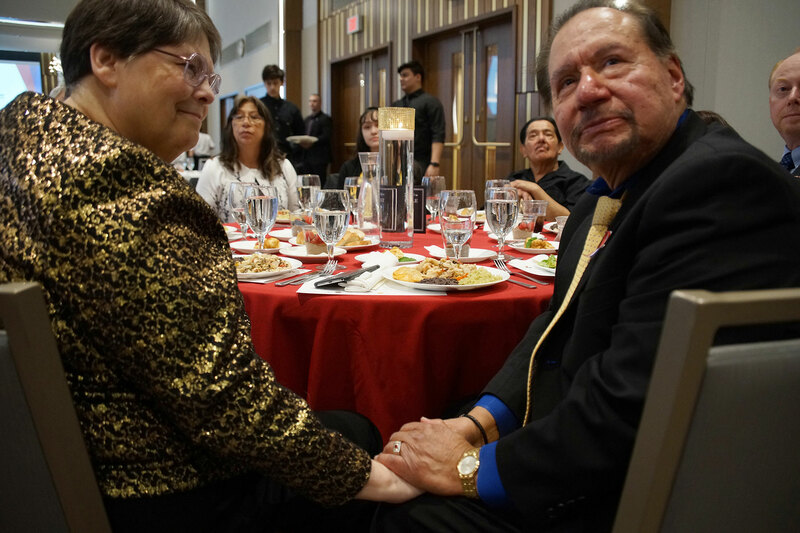 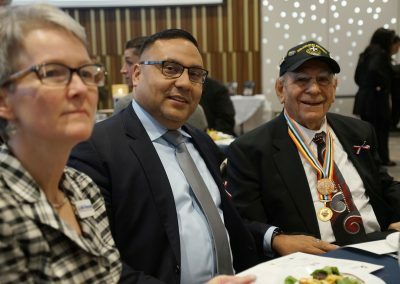 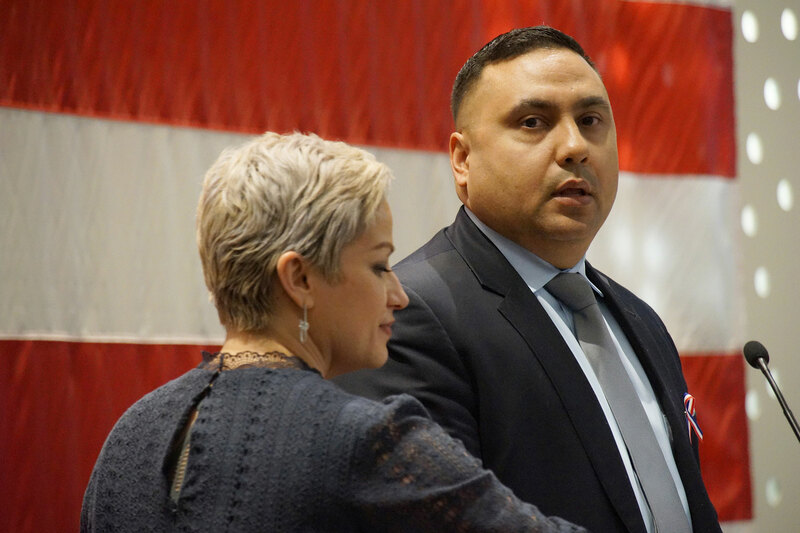 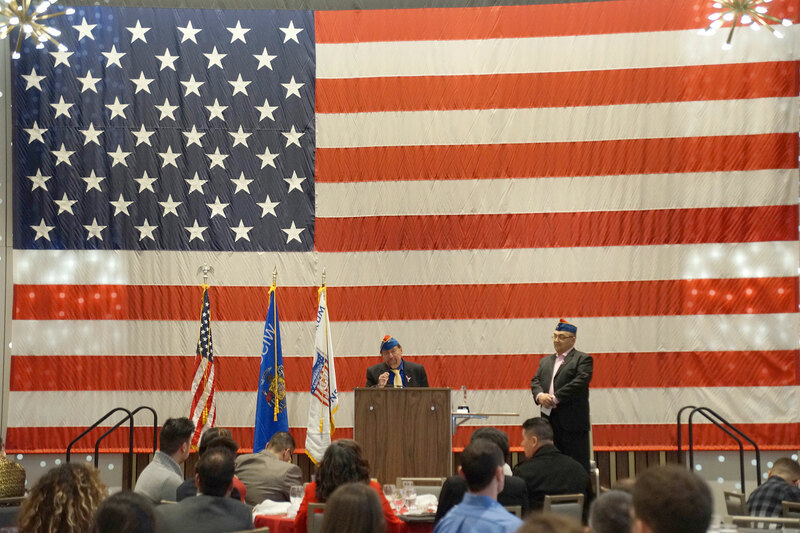 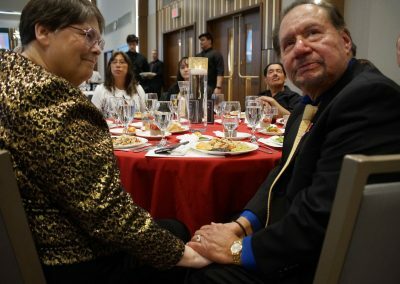 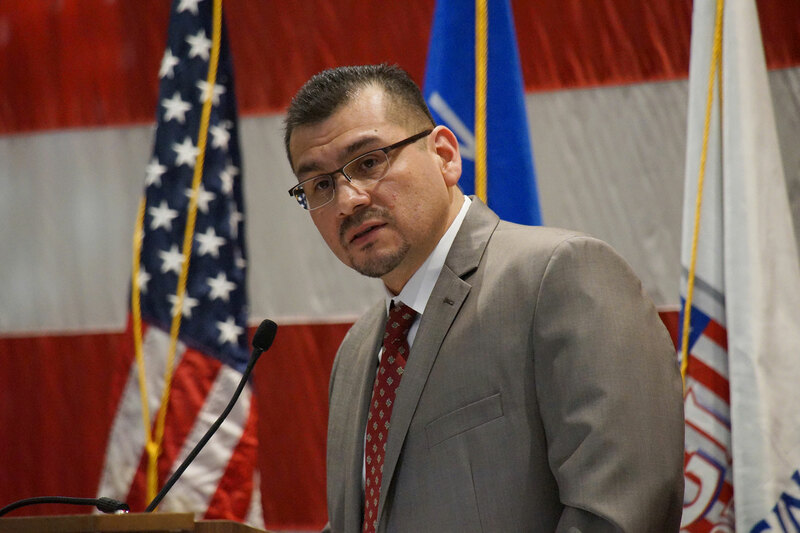 The Latino Veterans’ Legacy of Valor (LVLV) Foundation honored local Latino heroes at their Fourth Annual Benefit on April 13 at the Milwaukee County War Memorial Center, and presented the 2017/2018 Army 1st Lt. Daren M. Hidalgo Latino Veteran of the Year Award to George Banda. 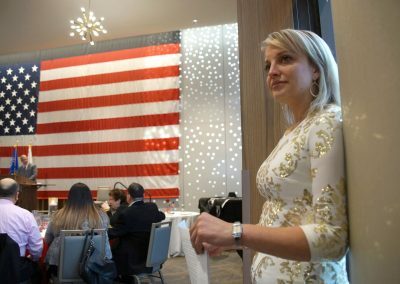 Latino Veteran of the Year Award is given to a local Latino veteran who has extended his or her service to the Latino community beyond the military. Banda was a US Army medic and paratrooper during the Vietnam War. 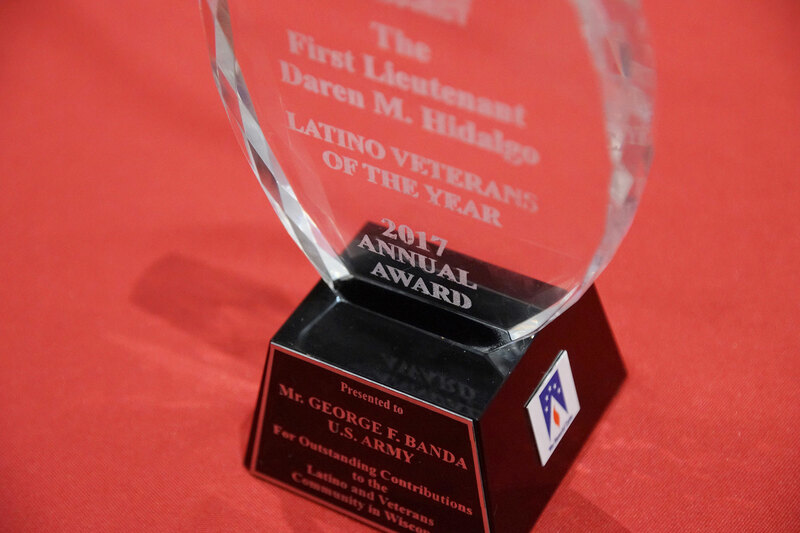 On several occasions, Banda rendered aid to soldiers under heavy enemy fire. 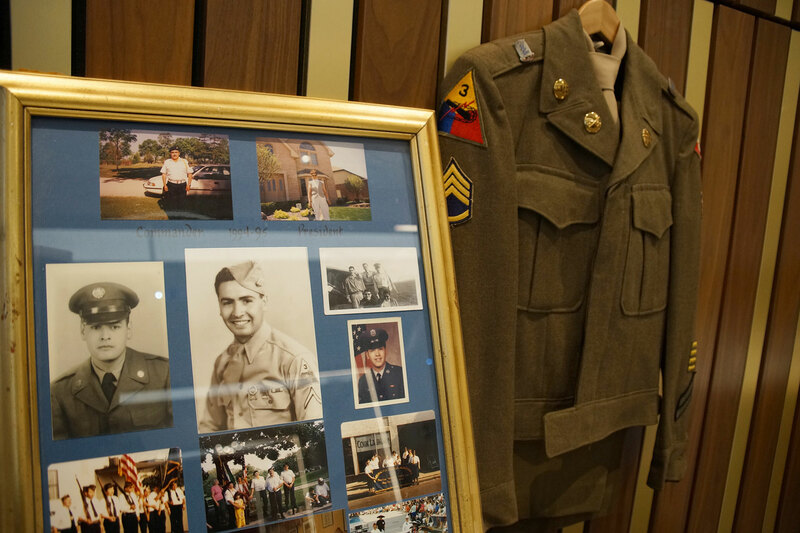 He was wounded and returned to duty after sustaining a head injury that would send anyone else home. 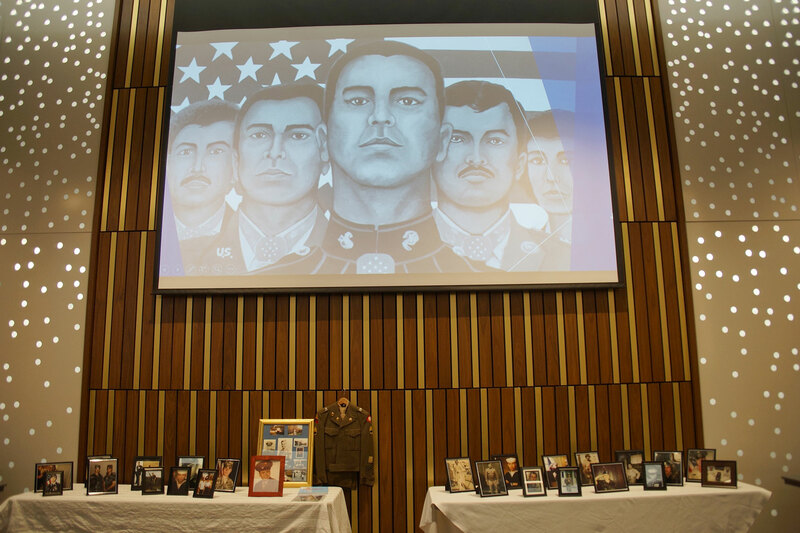 Banda’s actions earned him great recognition, and he was awarded the Silver Star and Bronze Star. 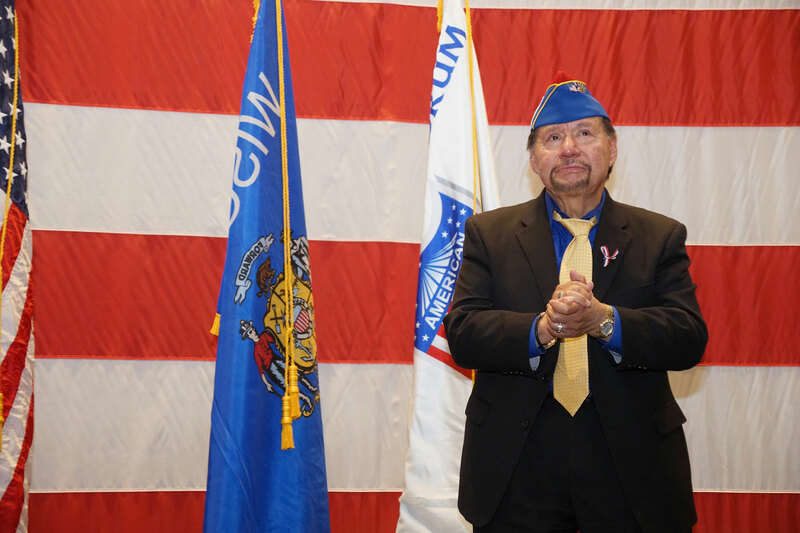 Upon his return home, he volunteered for veterans’ organizations, and helped found the Wisconsin chapter of the American GI Forum. 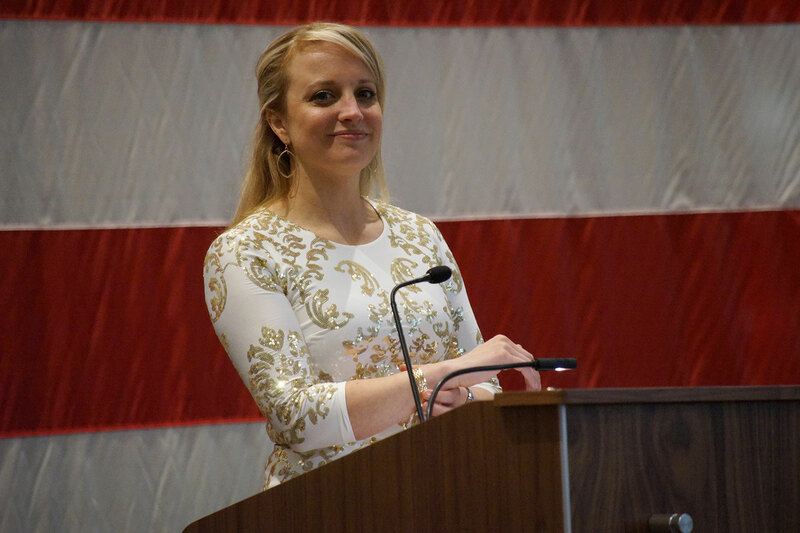 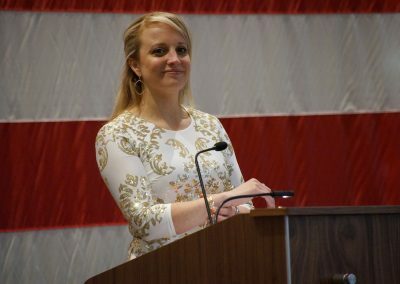 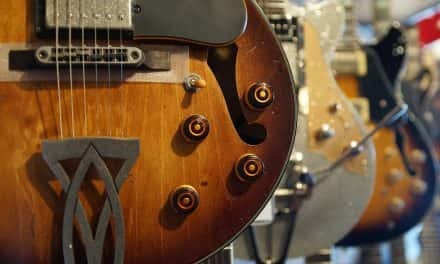 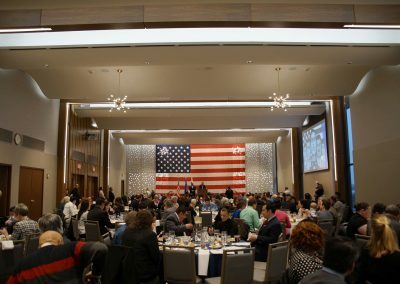 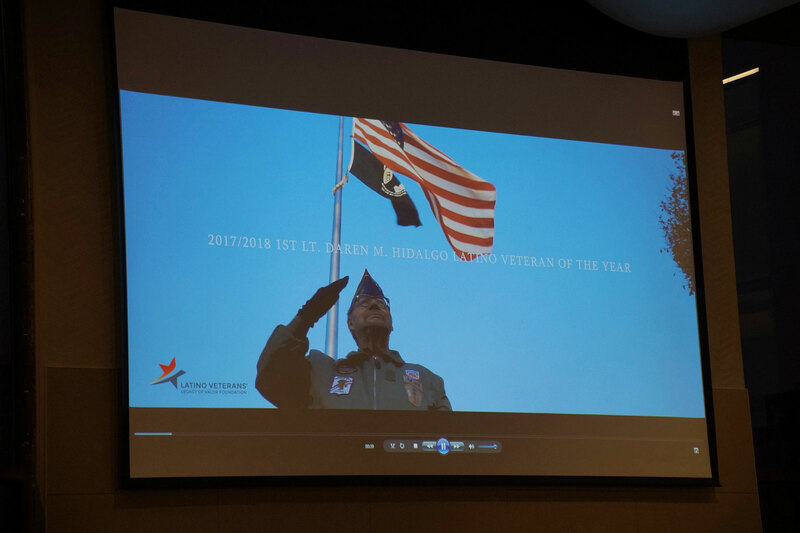 A tribute video to Banda was screened at the event, filmed over several months at veteran events in Milwaukee and Washington DC. 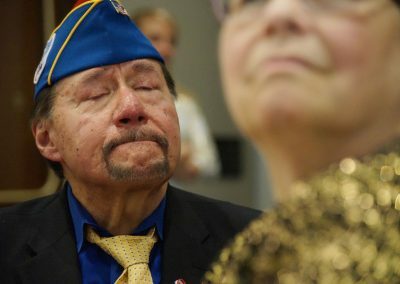 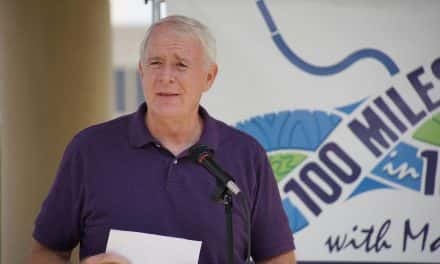 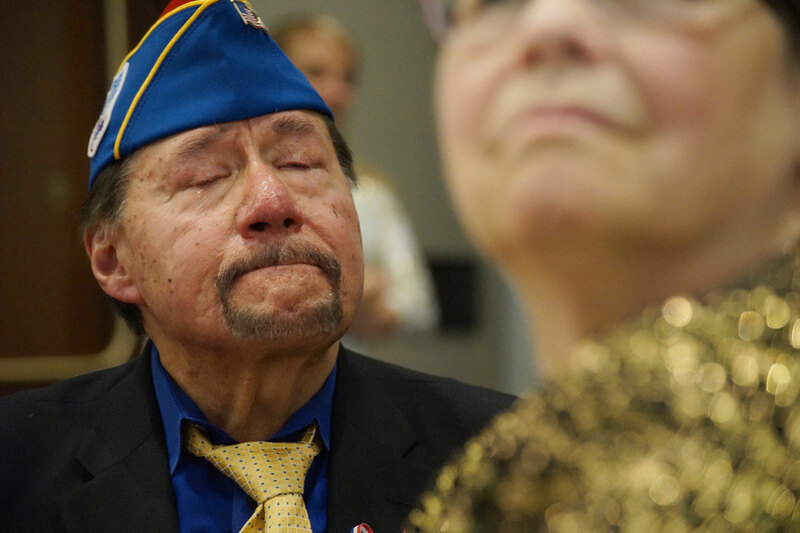 He was also the subject of an award winning series produced by the Milwaukee Independent, recognized by the Milwaukee Press Club, George Banda: Remembering the heroes who never left Vietnam. 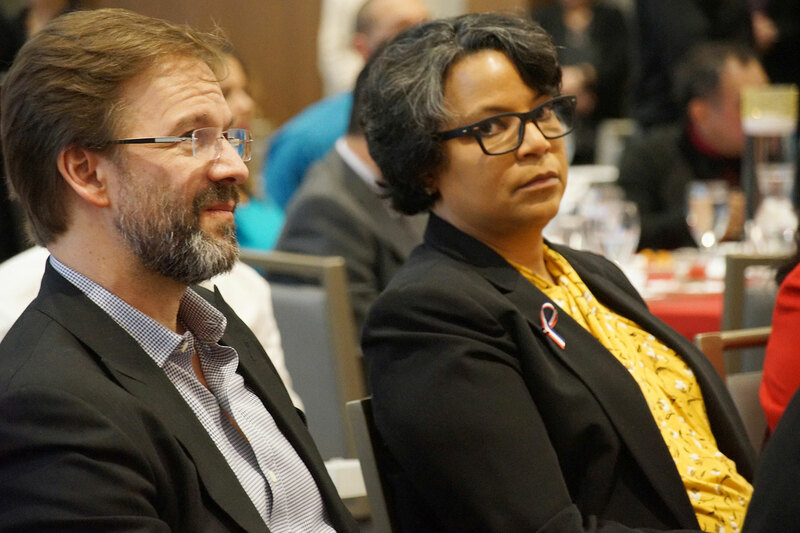 The LVLV Foundation was also given an award, in the form of $50,000 from Chris Abele. 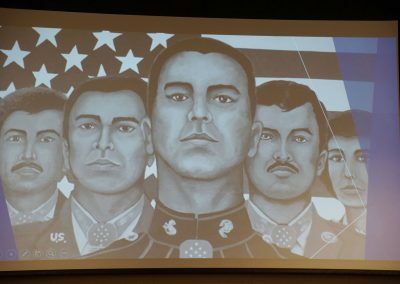 The donation came after the group announced its commitment to building a permanent tribute to Latino veterans. 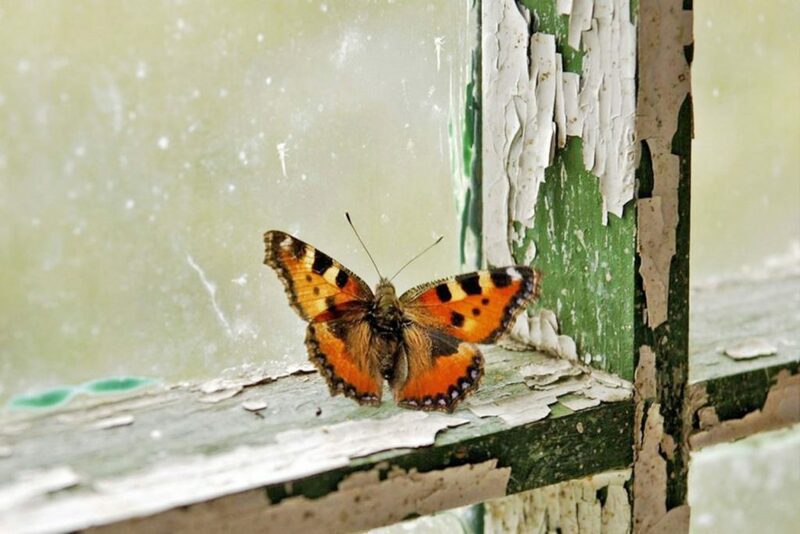 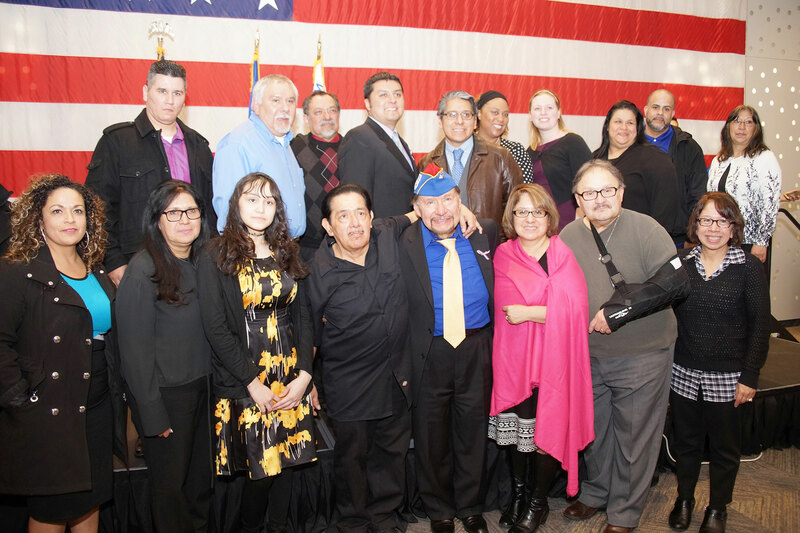 The group will embark on a yearlong fundraising campaign to raise the money needed. 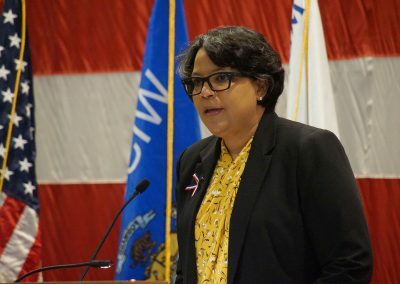 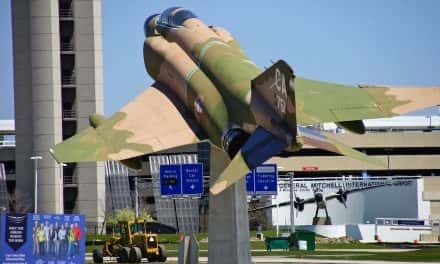 The monument is being planned by Community Design Solutions, part of the University of Wisconsin-Milwaukee’s School of Architecture & Urban Planning. 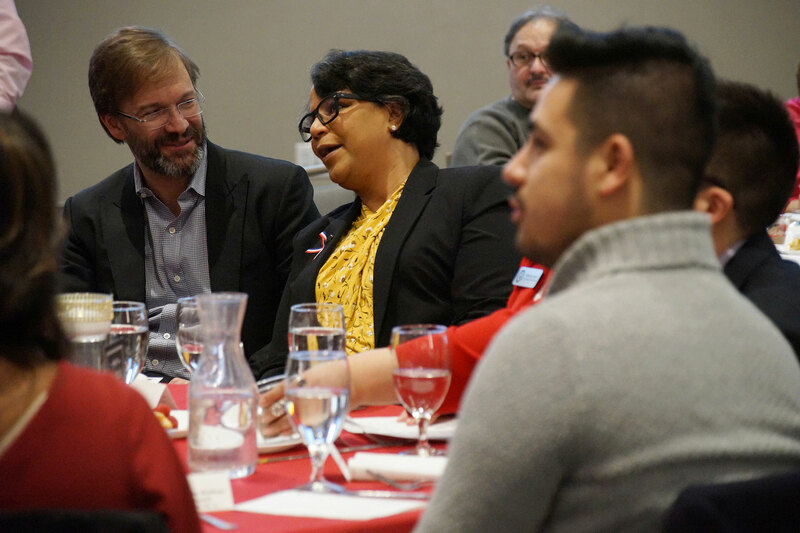 The visioning process involves local stakeholders and community leaders, and design concepts will be shared with the public as the process unfolds. 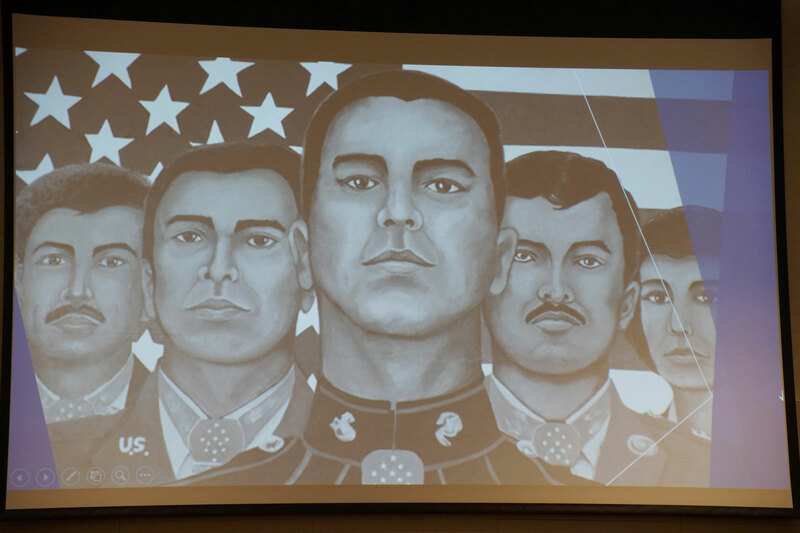 “This memorial has been 25 years in the making. 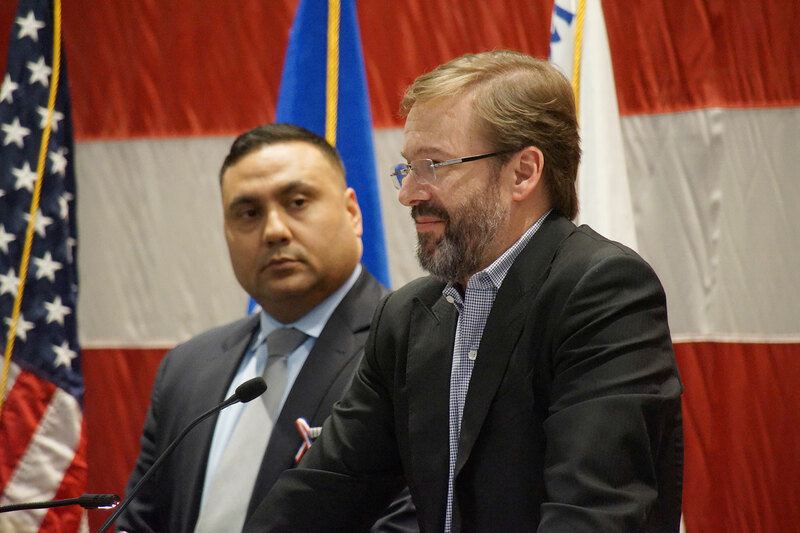 Thanks to County Executive Abele’s donation, we are closer than we’ve ever been to getting it built,” said Gene Manzanet, the LVLV Foundation’s Memorial Committee Co-Chair. 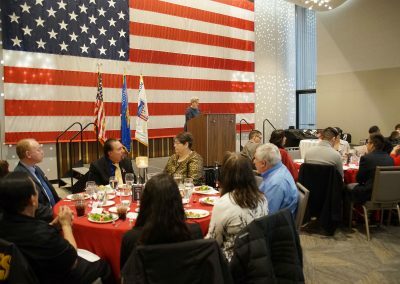 During the benefit event, Abele shared the story of his grandfather, Mannert L. Abele, a WWII Submarine Commander who was killed in action. 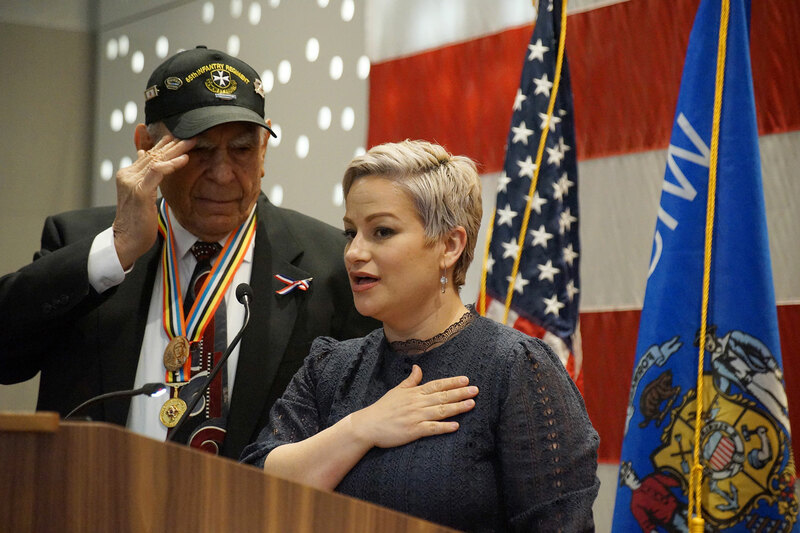 Commander Abele was posthumously awarded the Navy Cross for heroic action in the Pacific Theater. The USS Mannert L. Abele (DD-733), a US Navy Allen M. Sumner-class destroyer is named in his honor. 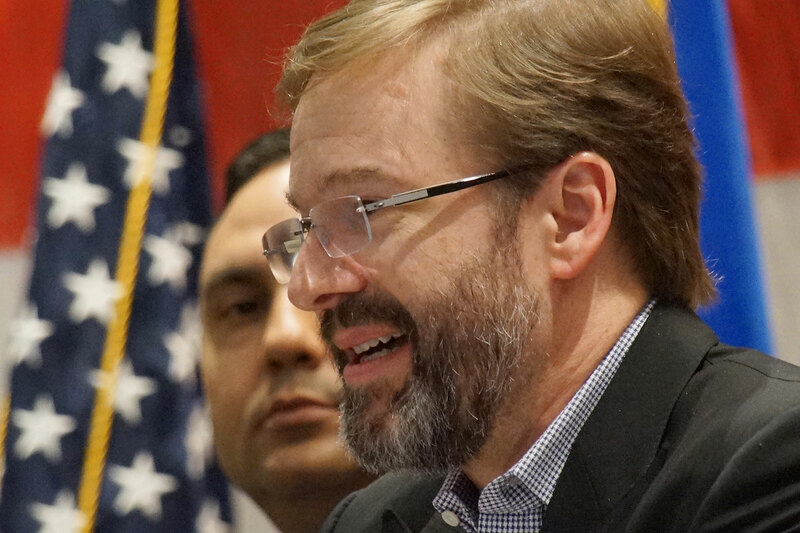 Abele also committed to serving as Manzanet’s co-chair on the committee. 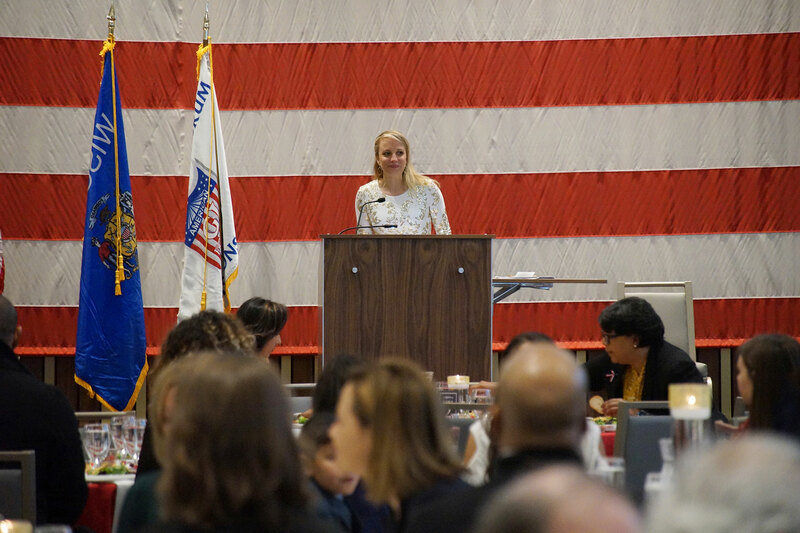 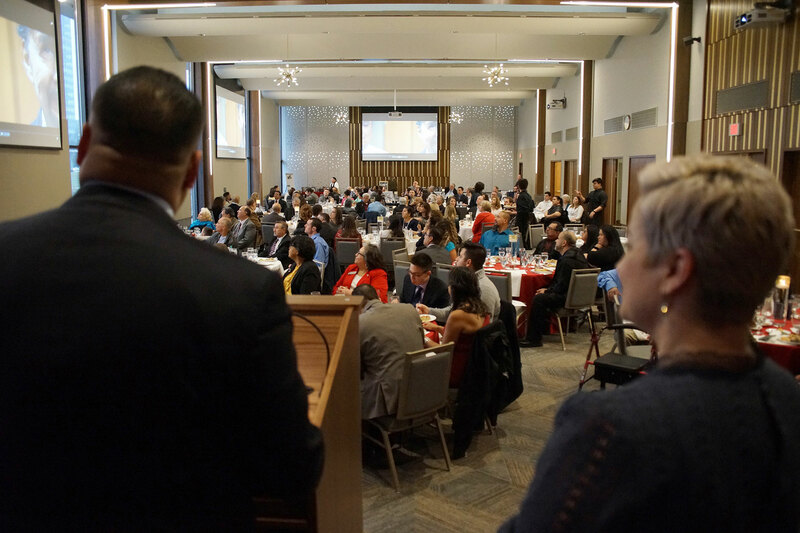 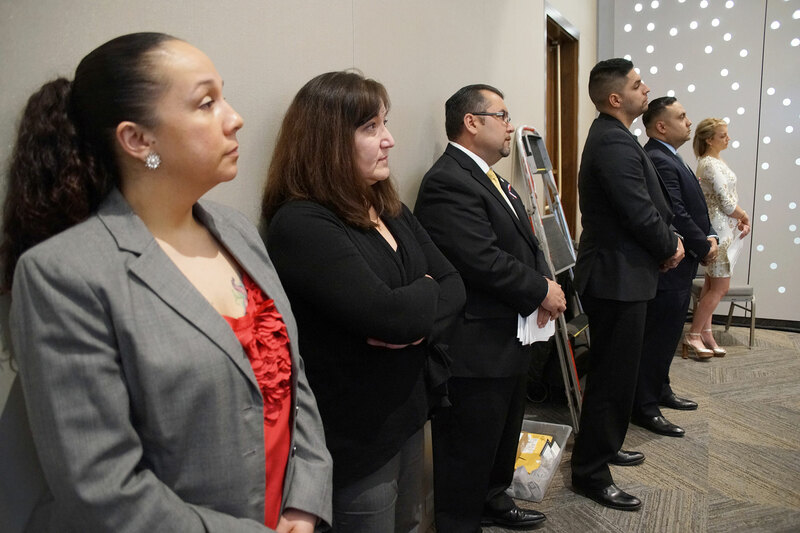 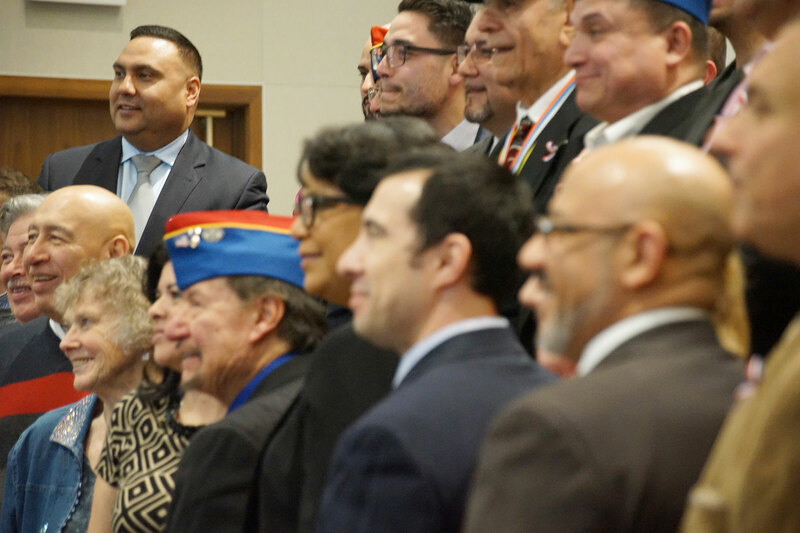 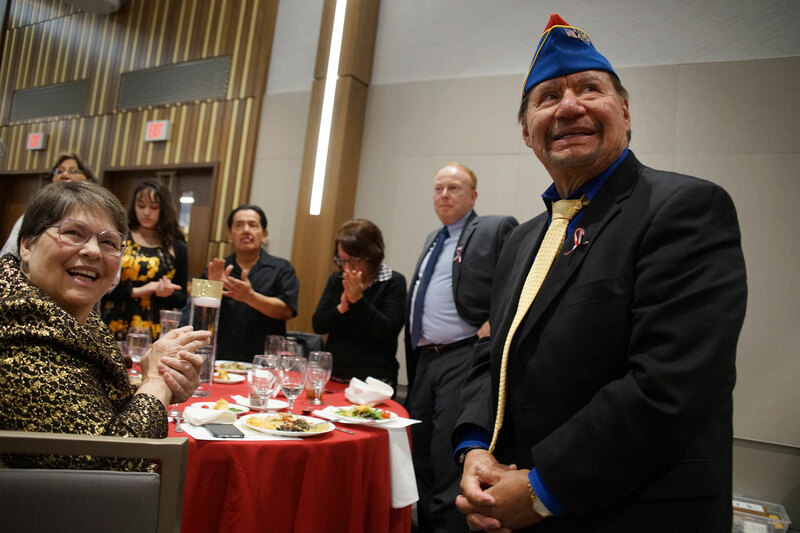 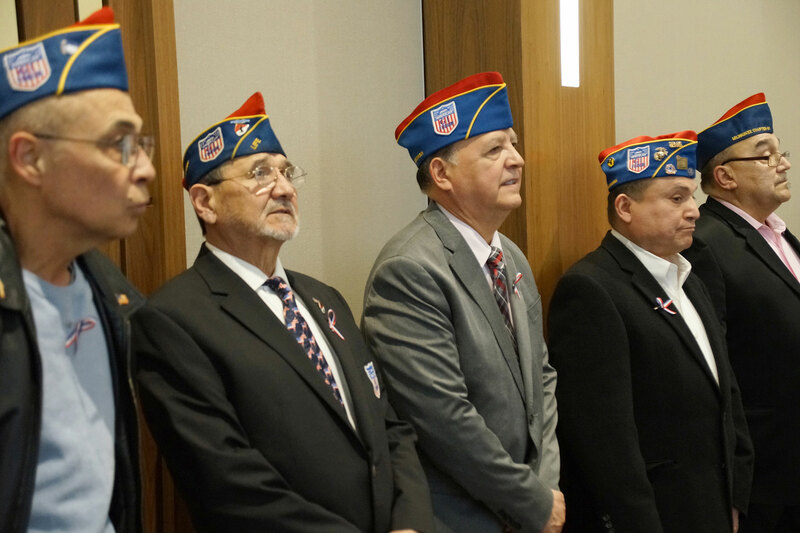 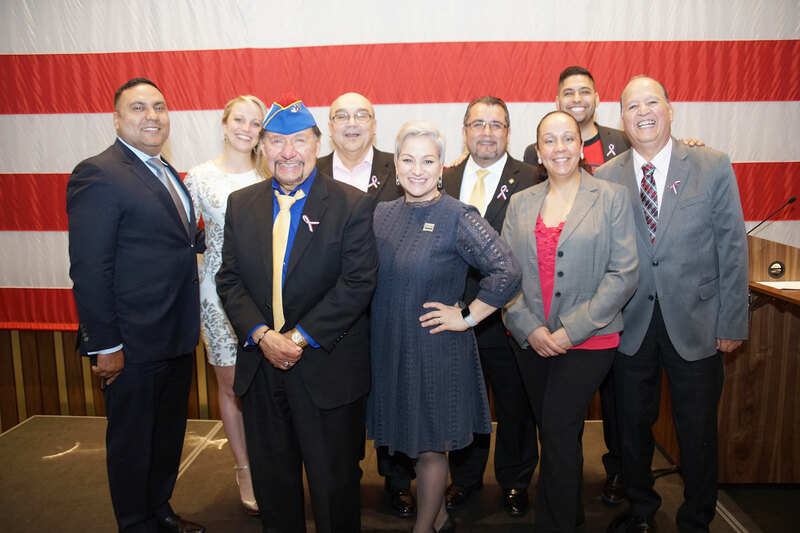 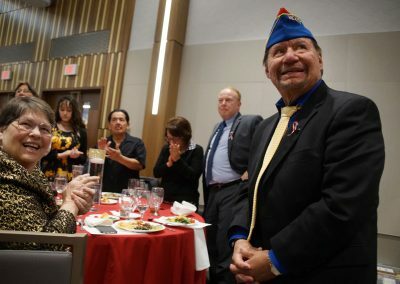 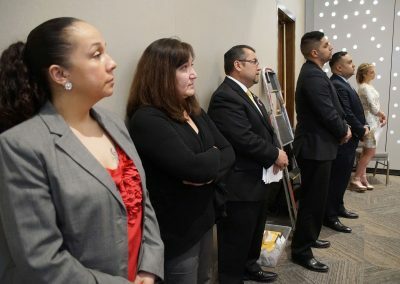 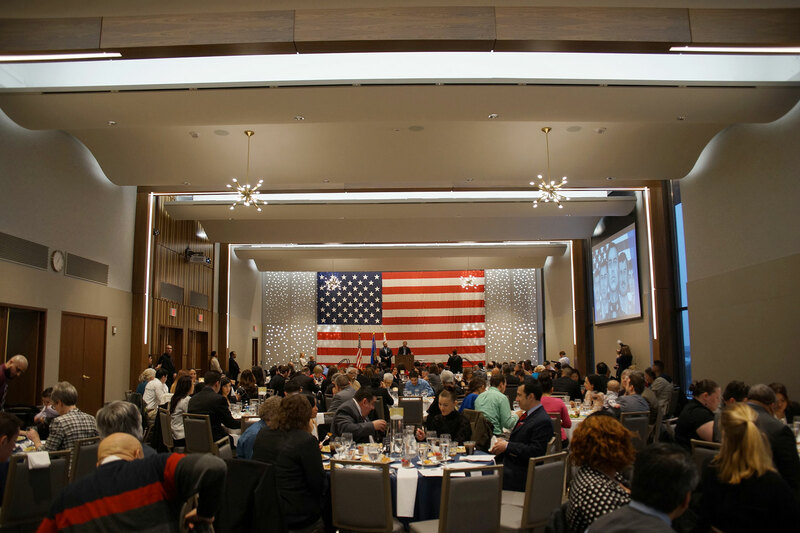 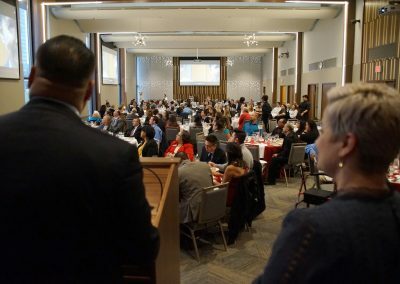 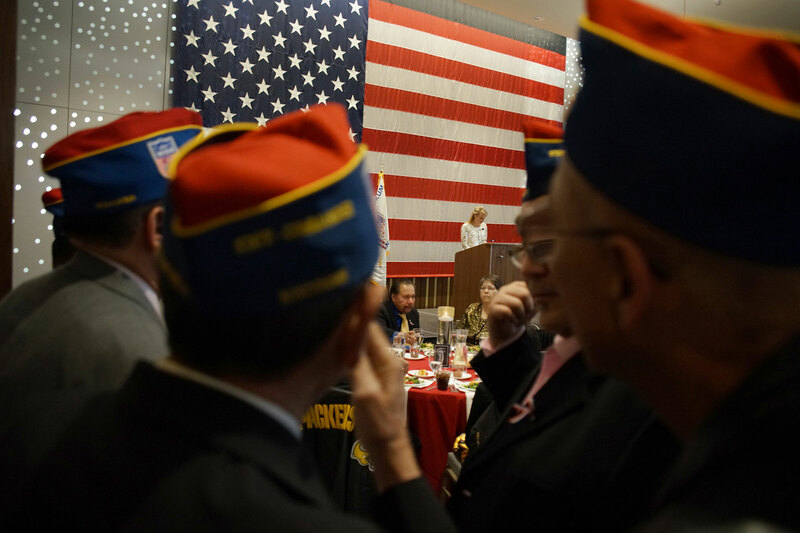 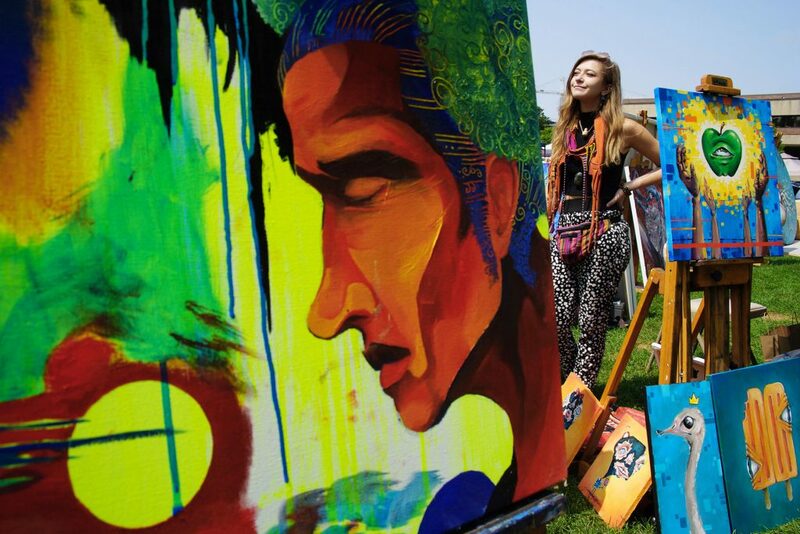 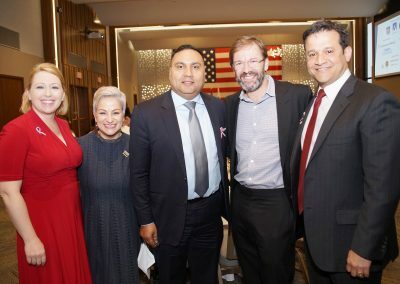 The LVLV Foundation is an all-volunteer organization, and its purpose is to honor the sacrifices of local Latino veterans in a manner that connects the past and present with the community’s future. 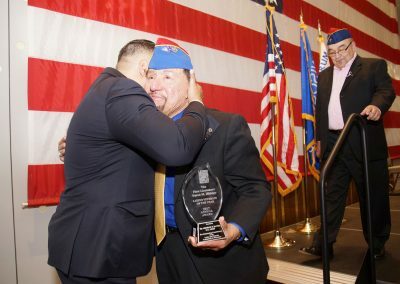 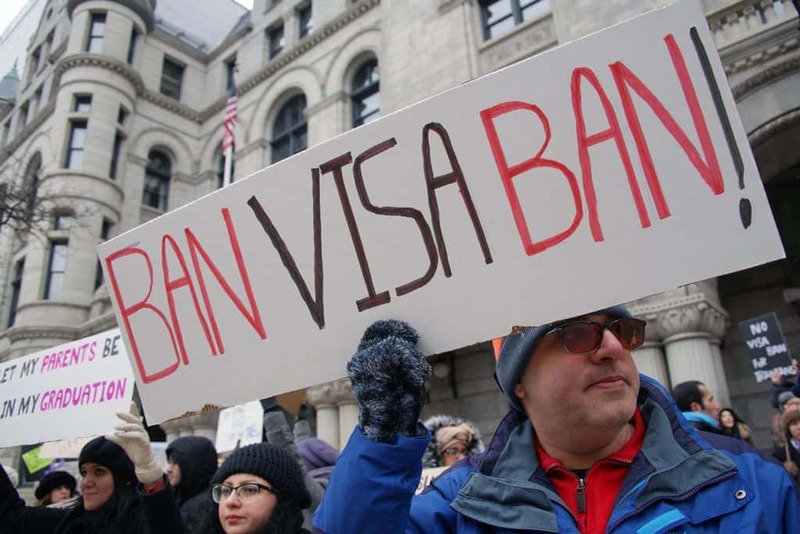 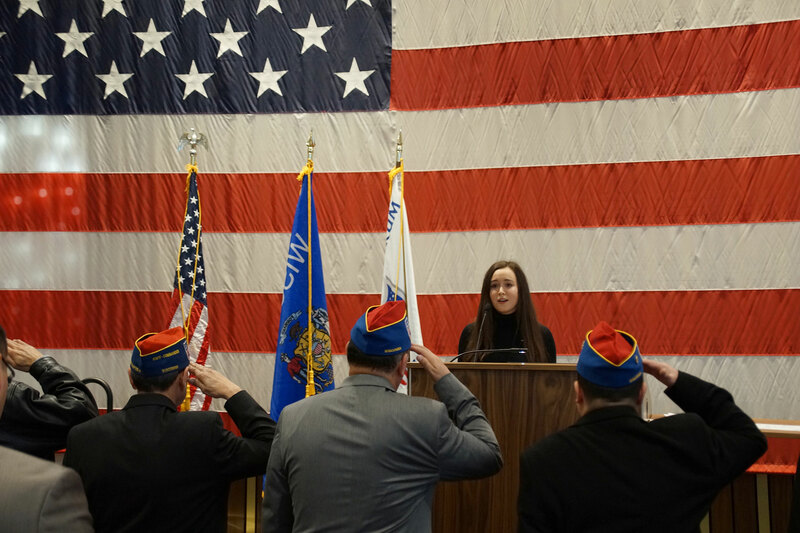 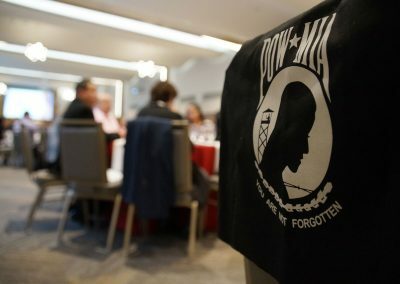 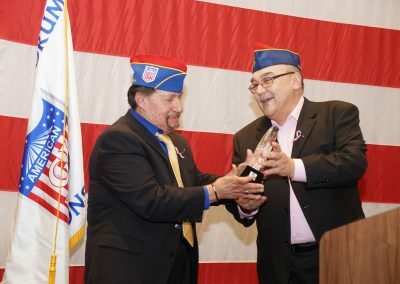 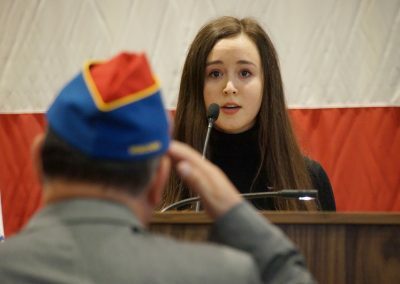 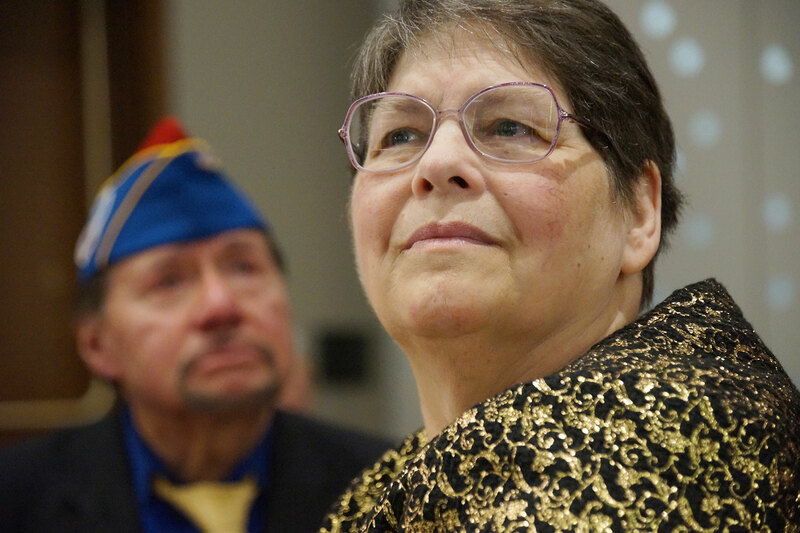 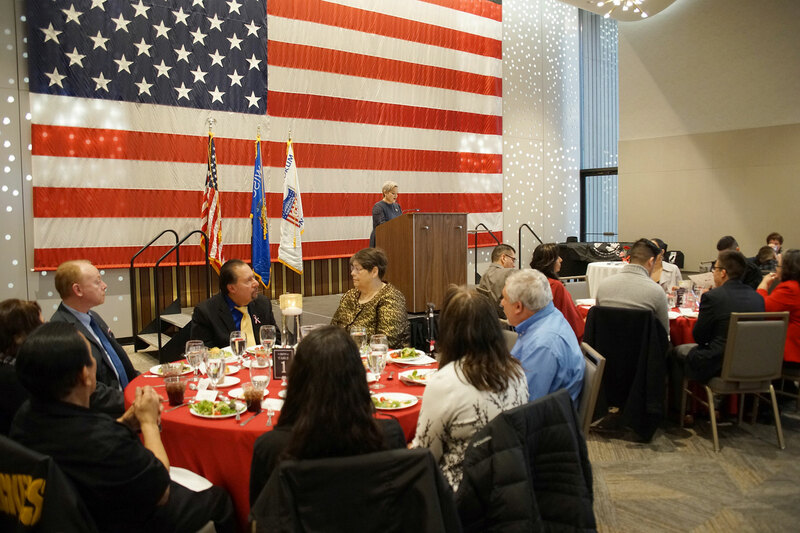 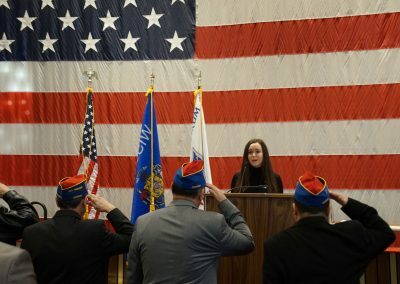 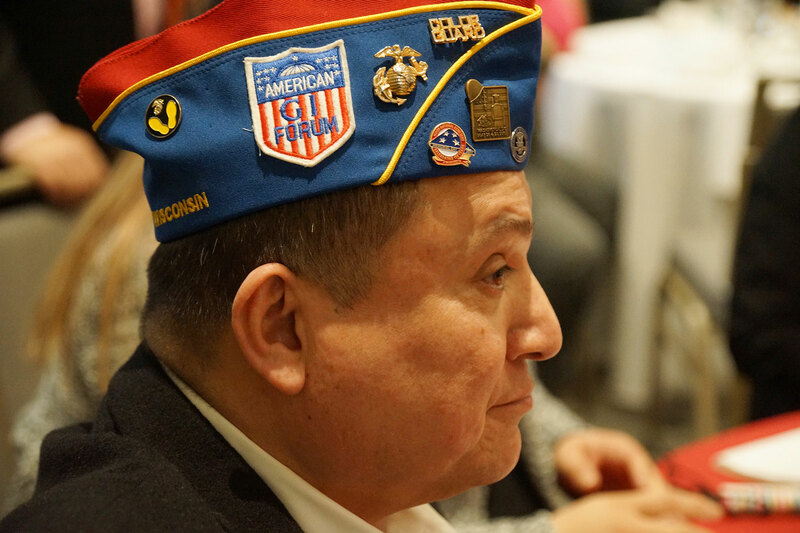 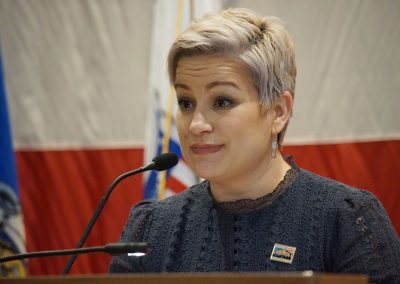 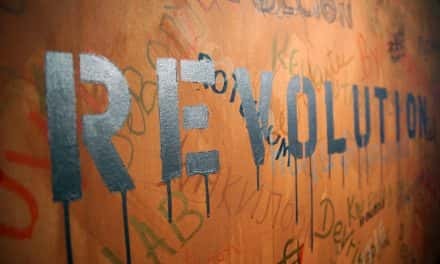 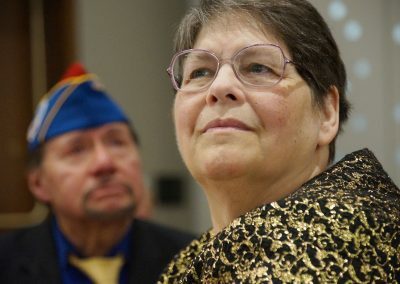 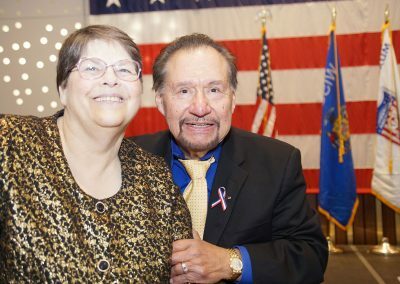 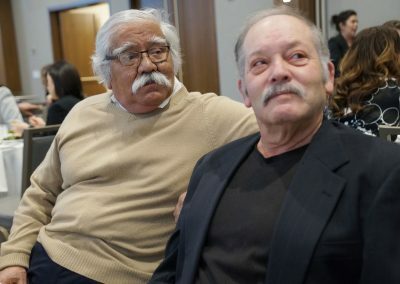 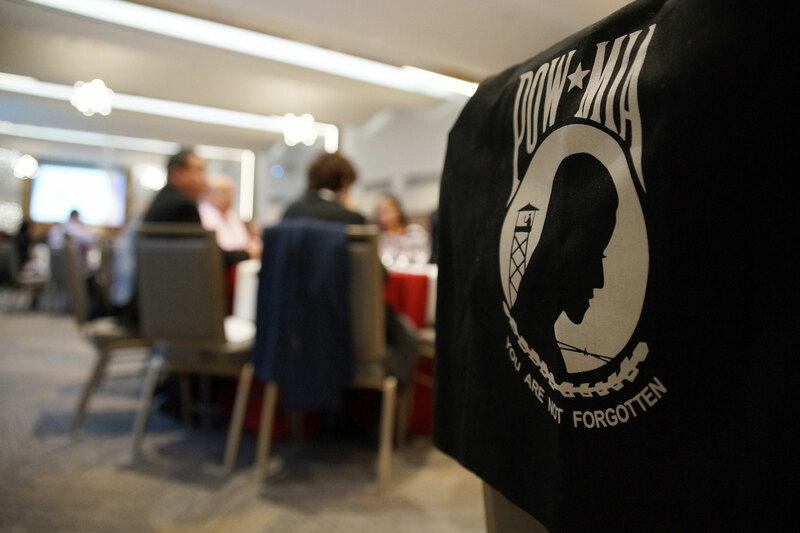 The group began as the LVLV Project in 2014, a consortium of the Milwaukee County War Memorial, the Wisconsin – American GI Forum, and the Latino community. 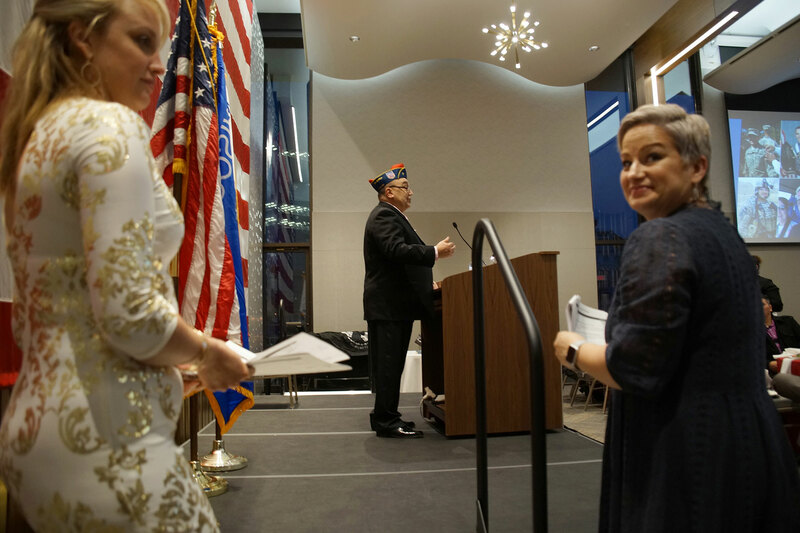 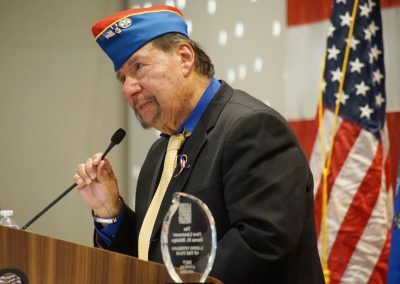 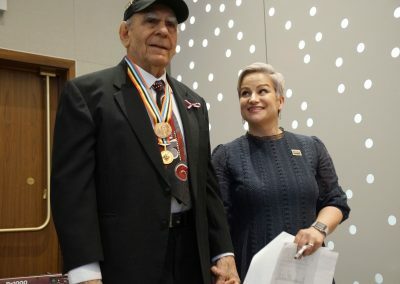 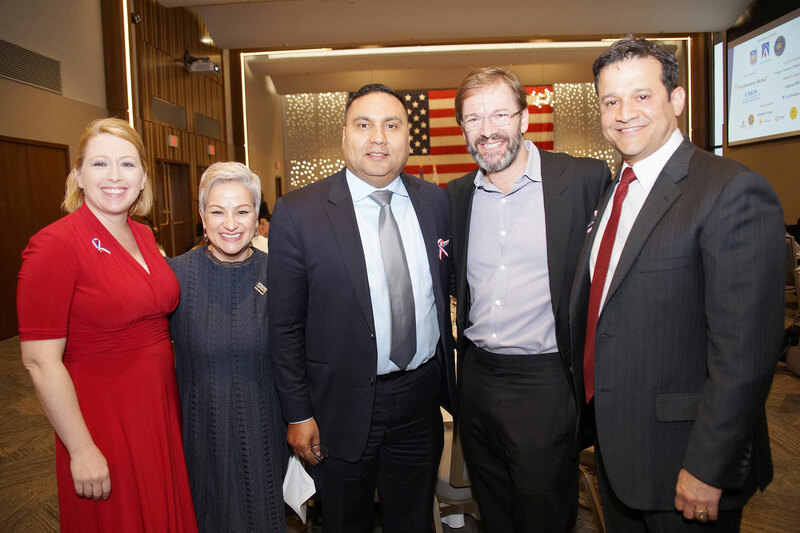 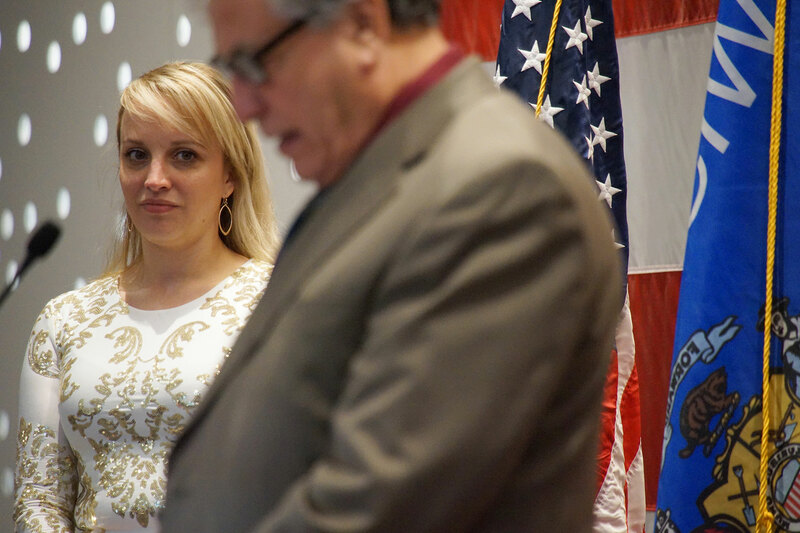 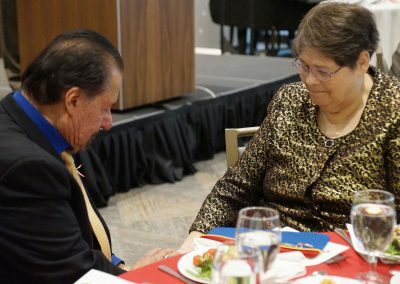 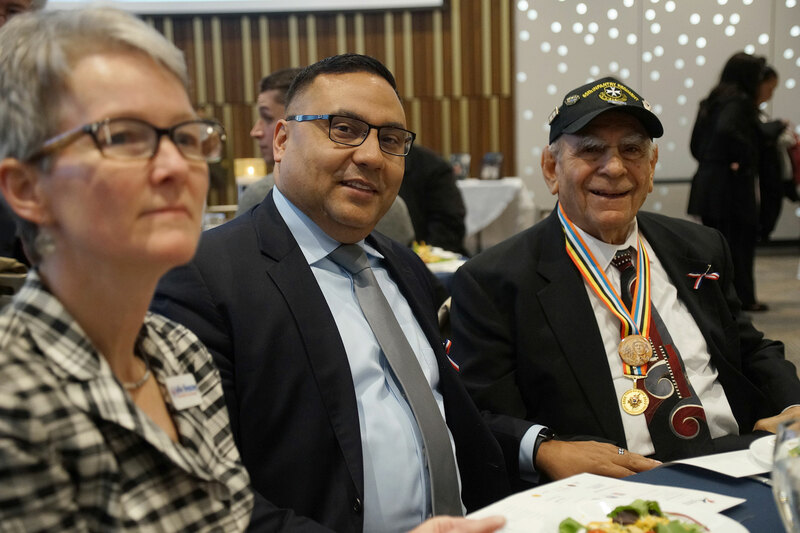 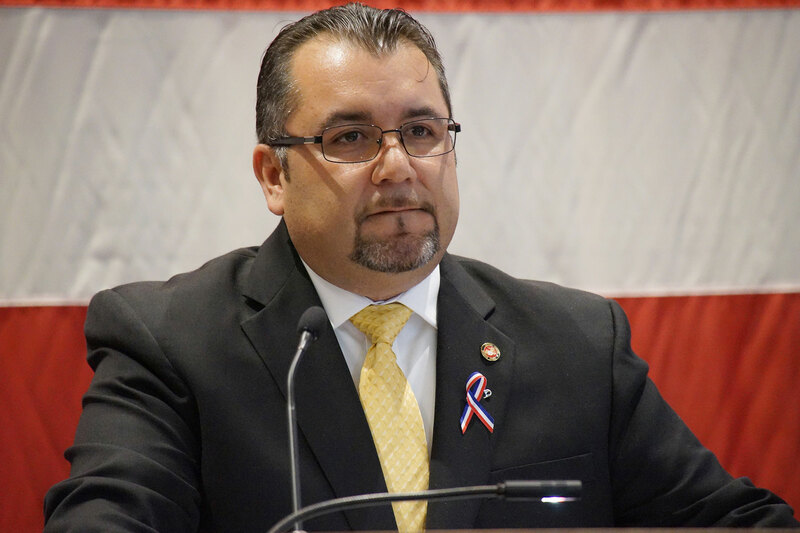 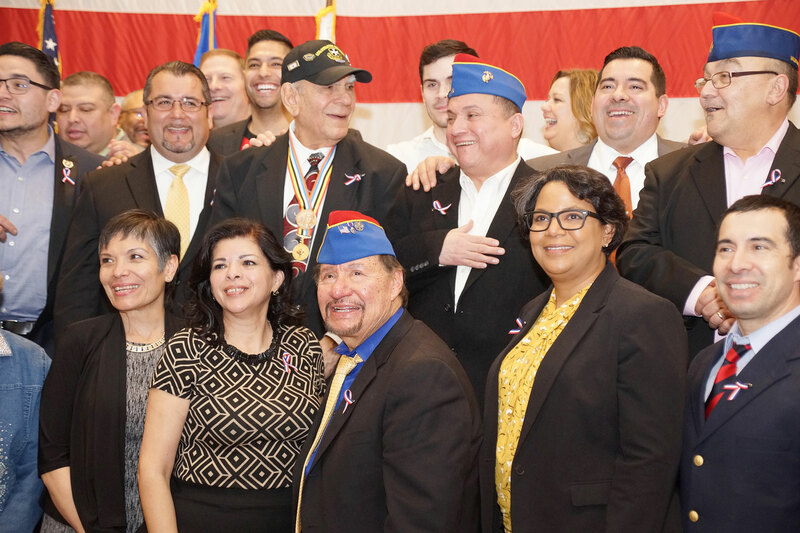 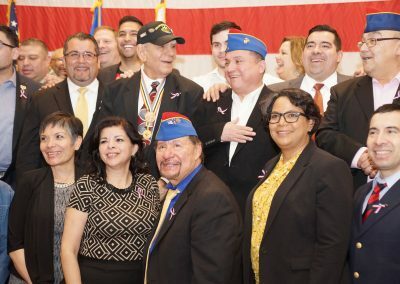 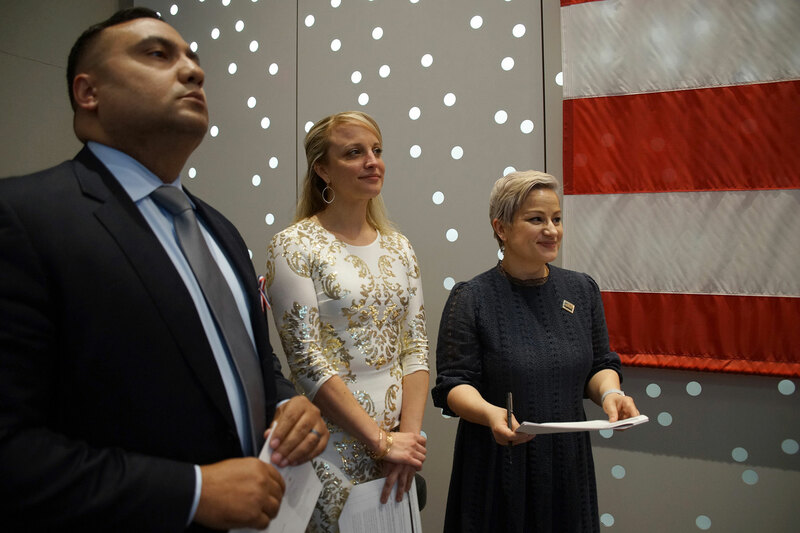 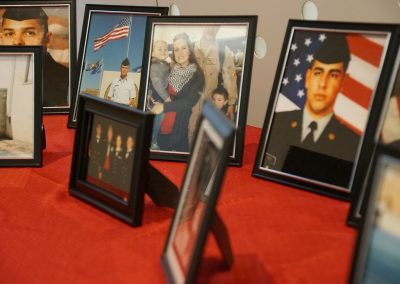 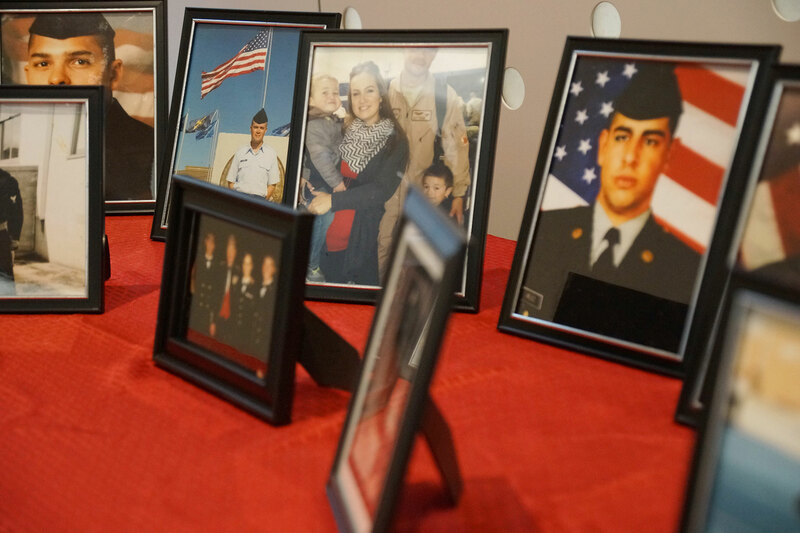 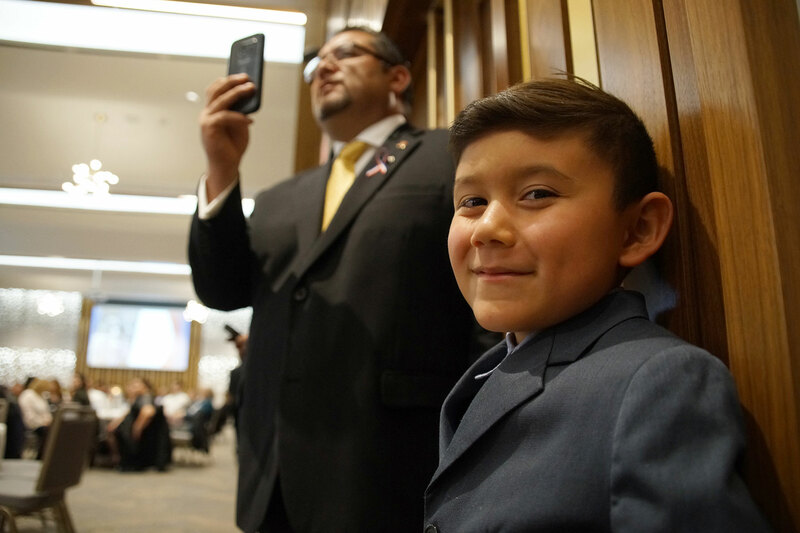 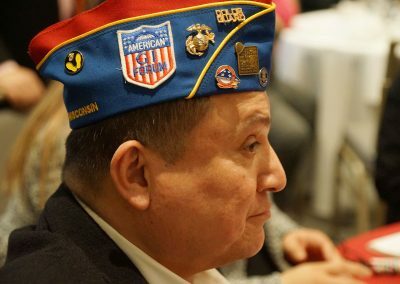 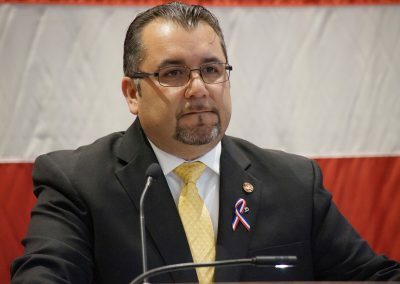 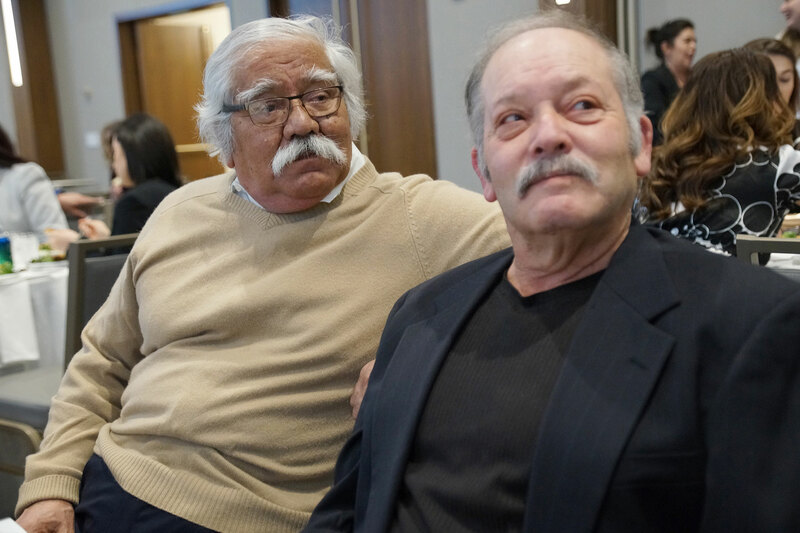 “Building a permanent tribute to Latino veterans is important to help educate our youth about humble community heroes like my dad,” said LVLV Foundation Vice-Chair David D. Haro. 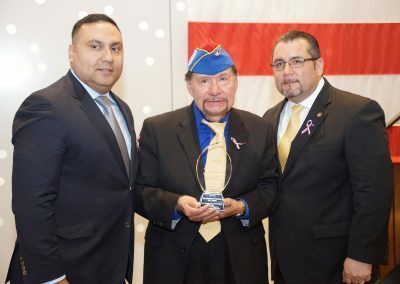 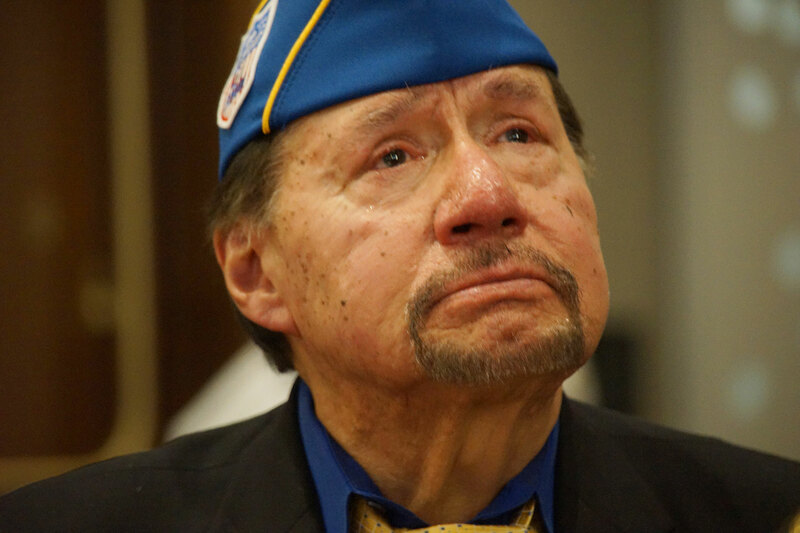 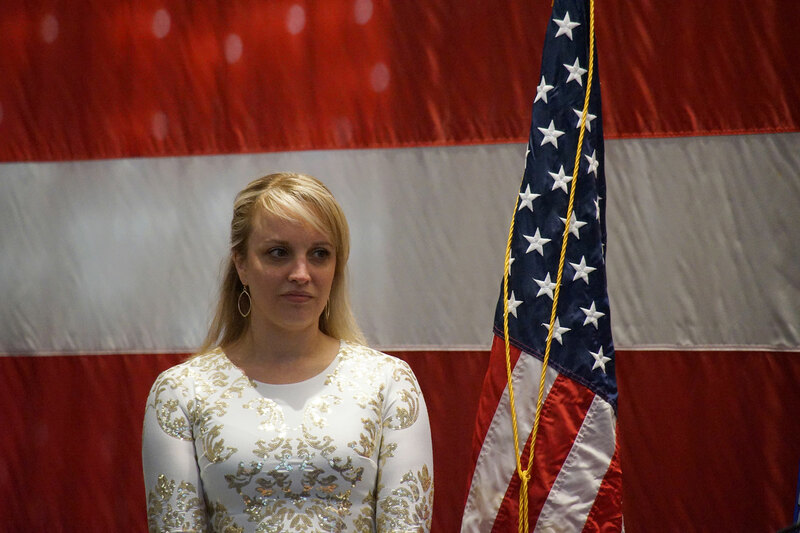 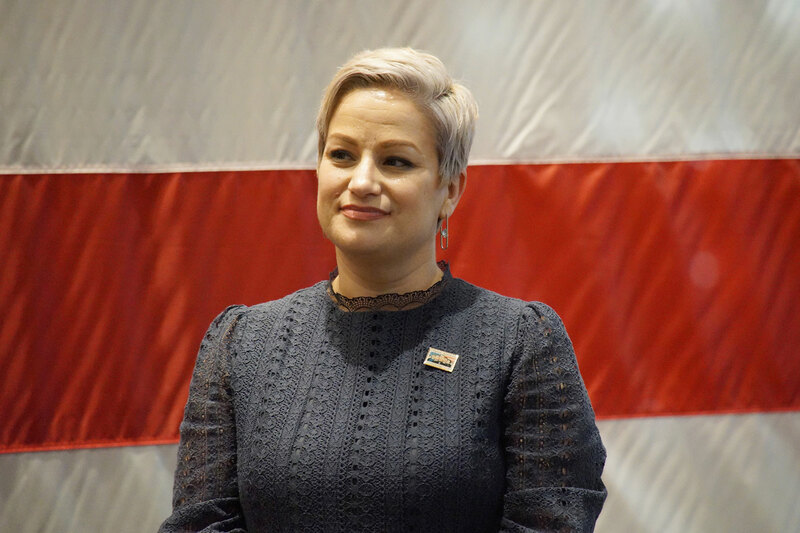 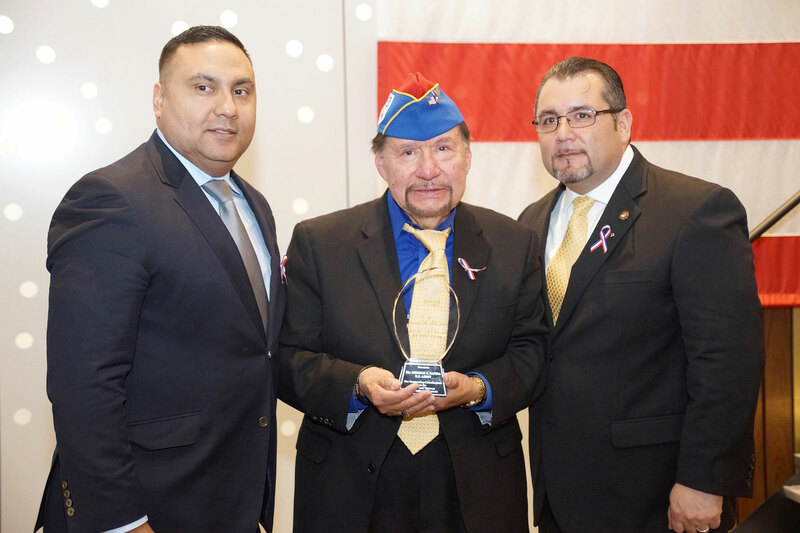 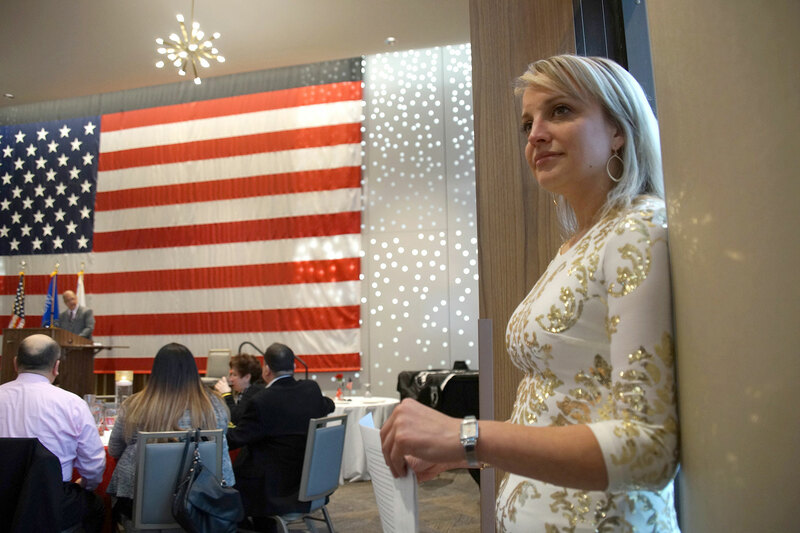 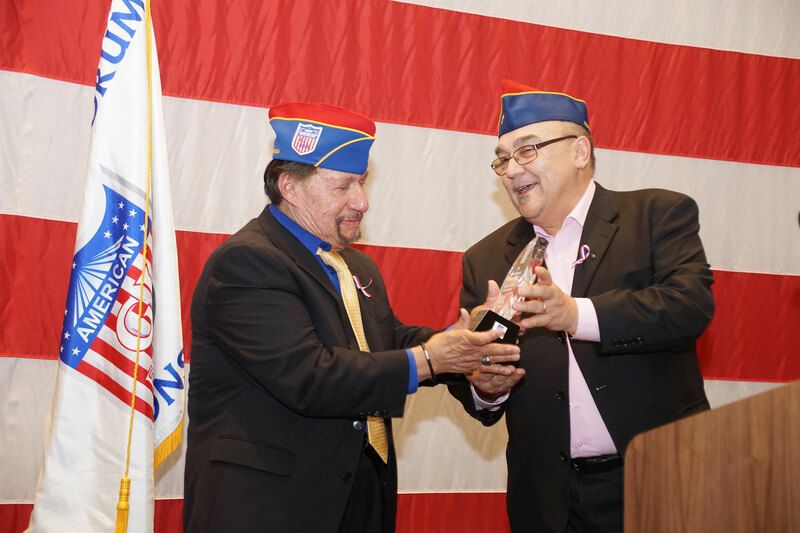 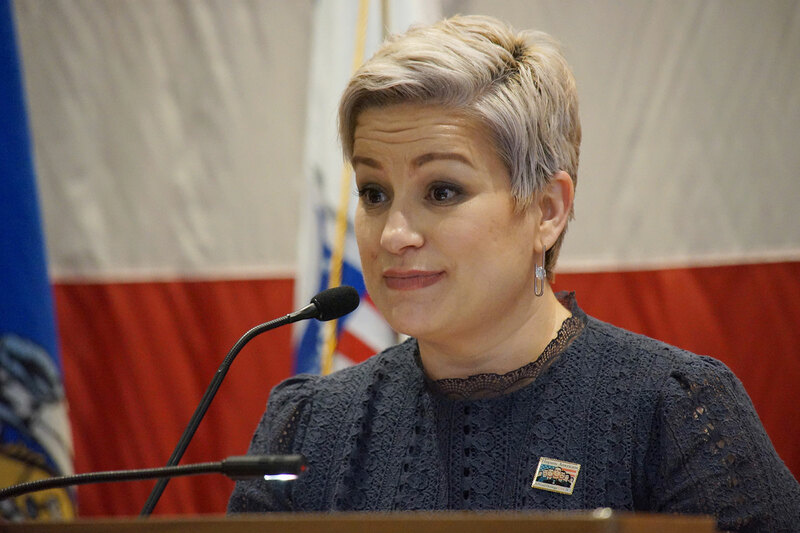 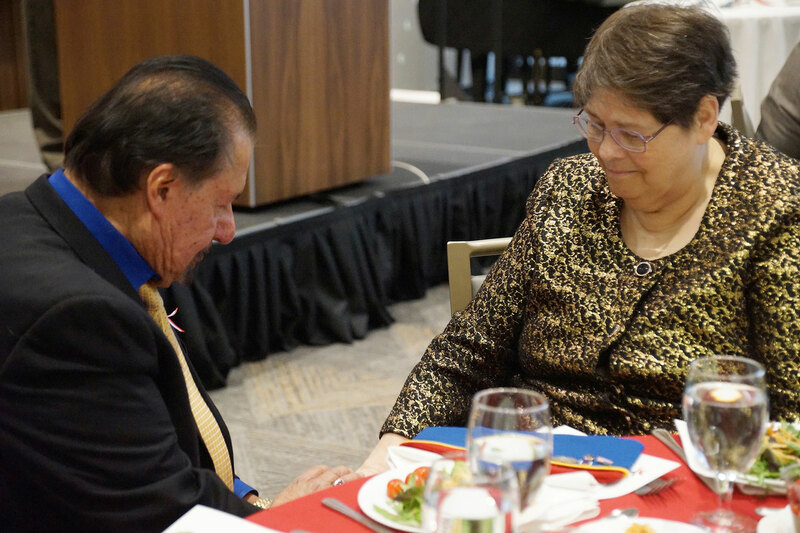 Haro’s father was the late Jesse Haro, a D-Day veteran and the 2015 Latino Veteran of the Year. 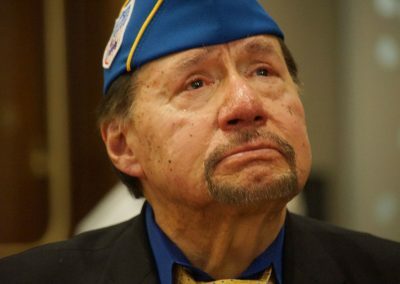 The elder Haro passed away last October.